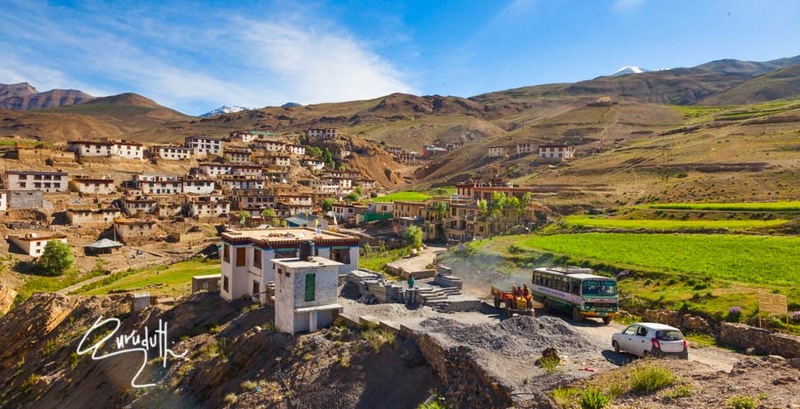 Our today's journey is from Kaza Town ---- Ki Monastery ---- Kibber village ---- Gete village ---- Komic Monastery ---- Hikkim village ---- back to Kaza town. 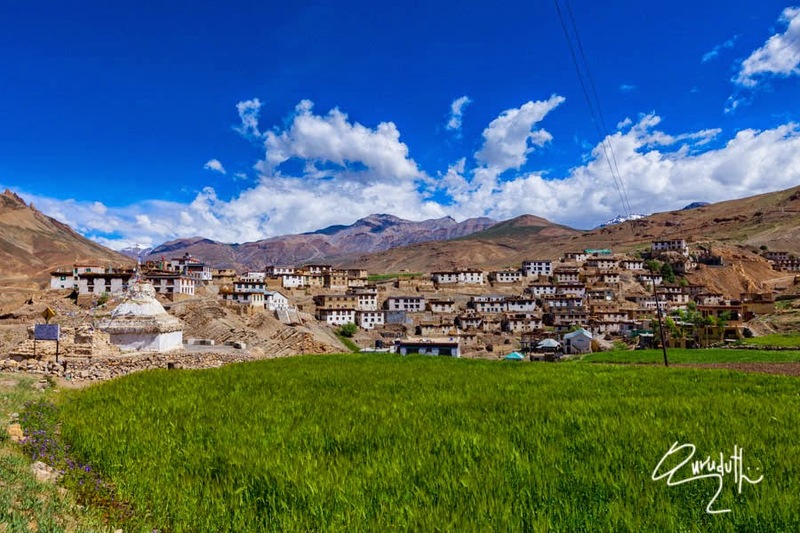 Because of so many famous Monasteries in and around Spiti valley, Spiti is called as the “Land of Lamas” The natural scenery and Buddhist monasteries, such as “Ki Monastery”; “Dhankar Monastery”; “Shashur Monastery”; “Guru-Ghantal Monastery”; “Khungri Monastery” in Pin Valley, (Tnagyud Gompa) of the “Sakya-Sect” in “Komic” village, (Sherkhang Gompa) in “Lahlung” village is (believed to be older than Tabo Monastery), the only Buddhist Mummy of a Monk in “Ghuen, mummy” around 550 years old and “Chandrataal Lake” are the main tourist attractions of the region. 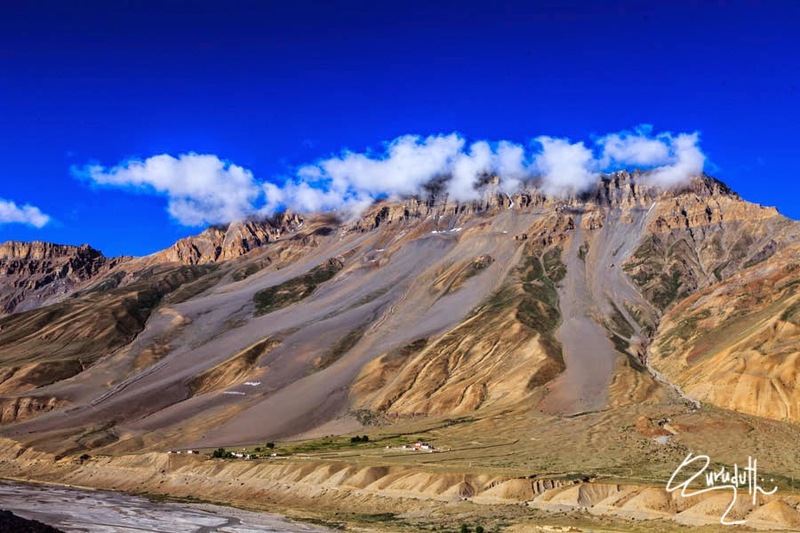 Day (9)—24th July 2014--- Today from Kaza town at about 7:30 a.m. our Sight seeing tour around Kaza started. 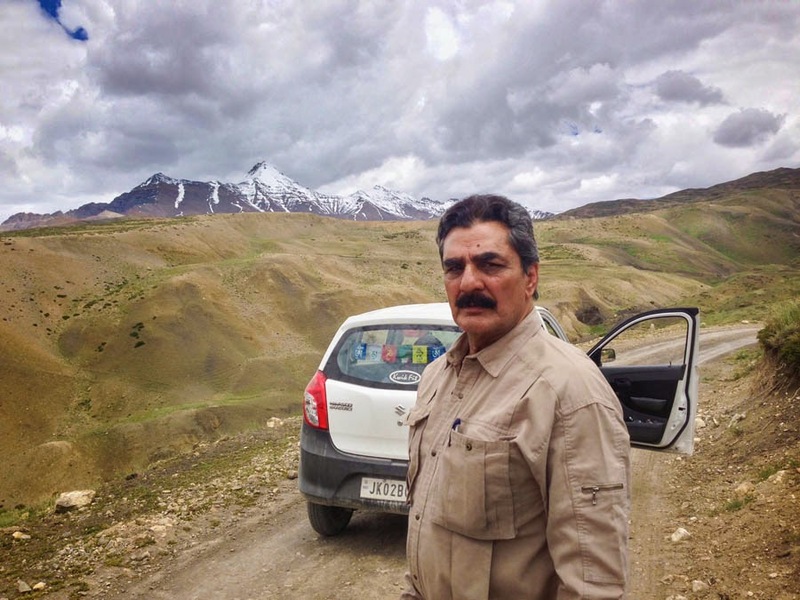 First we drove towards Kibber village. 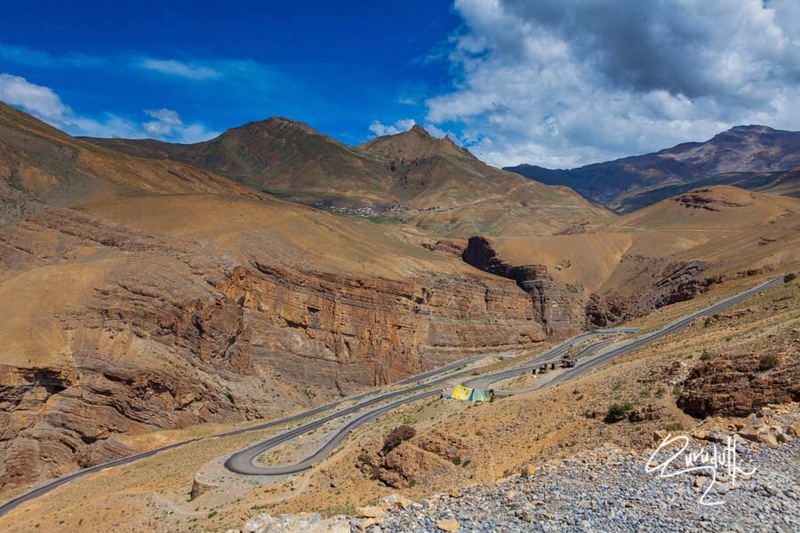 From Kaza the Kibber village is about 16 Km and its a very steep climb, motorable road . It’s a very scenic drive where we felt as if we were going to touch the Sky. 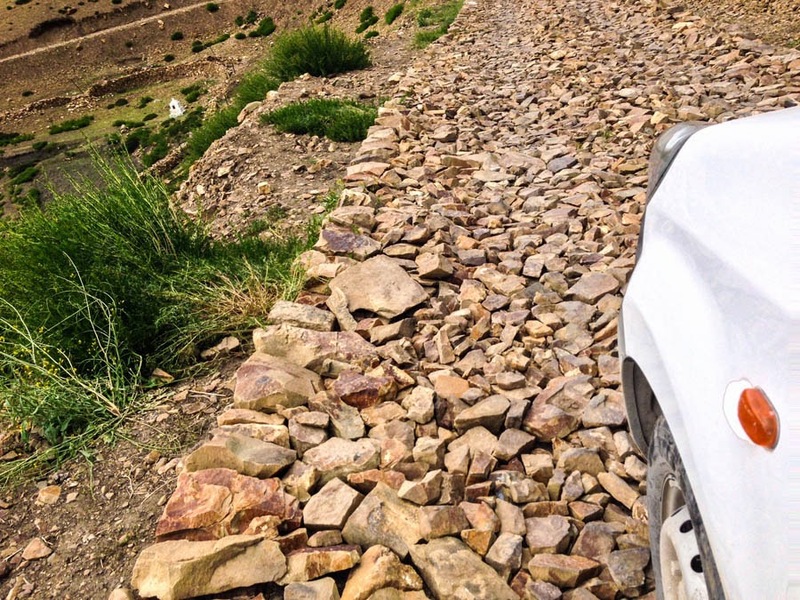 Though the narrow winding road was bad, but the surroundings all around were awesomely breathtaking. This species of mountain goat in local language is called “Shawa”. 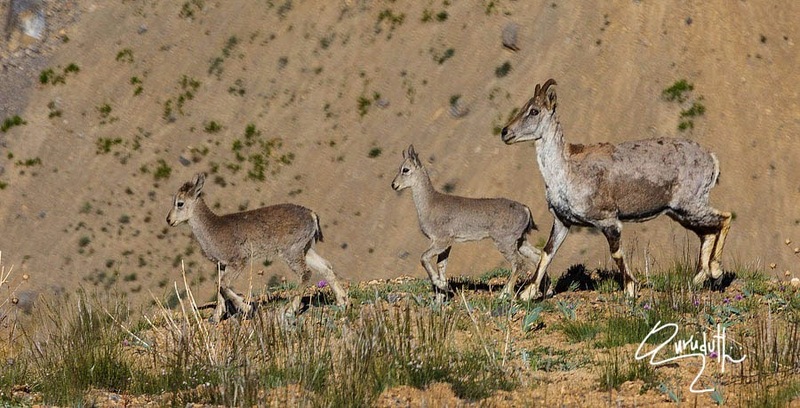 The road pass through a beautiful Landscapes and luckily we sighted mountains goats those graze above 12,000 ft MSL, This species of mountain goat in local language is called “Shawa”. 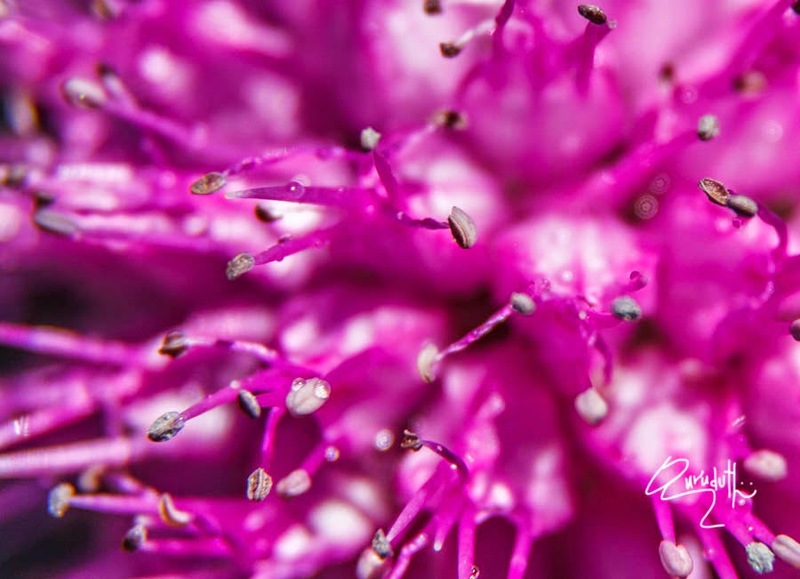 They are short and steady, but are very firm footed. 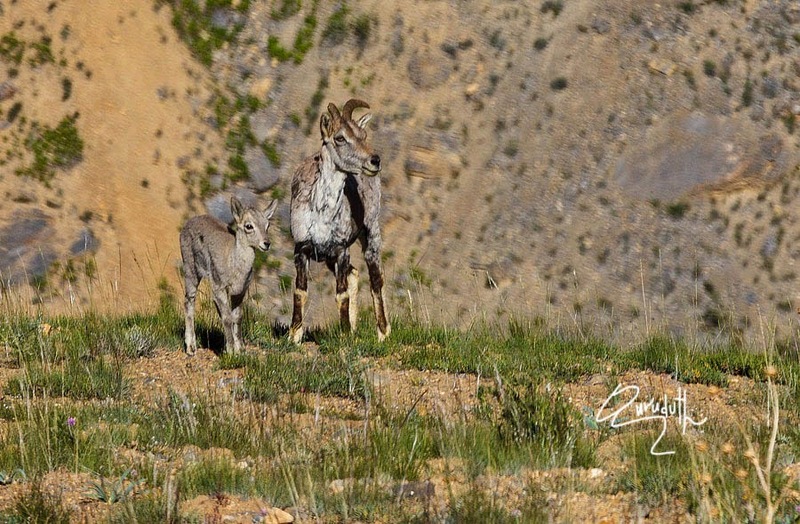 We sighted these goats in between Keey monastery and Chhima ranges. 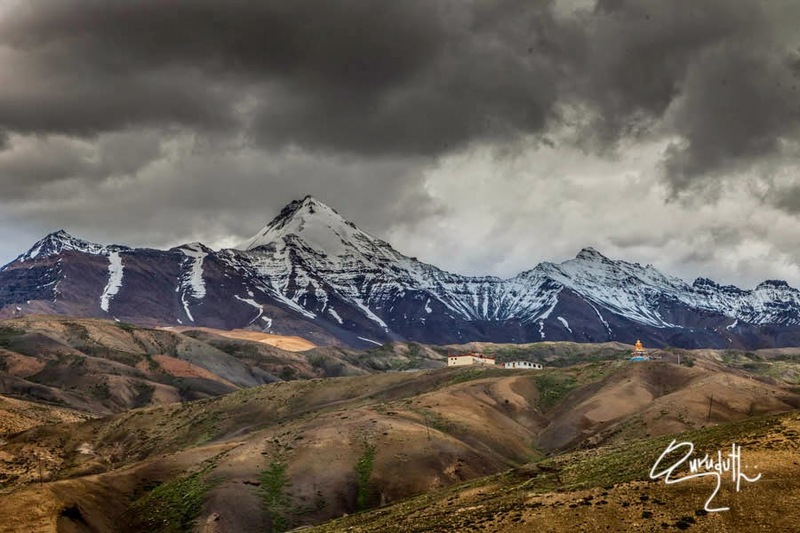 From Ki monastery, a scenic drive takes you to Kibber which is a small village. 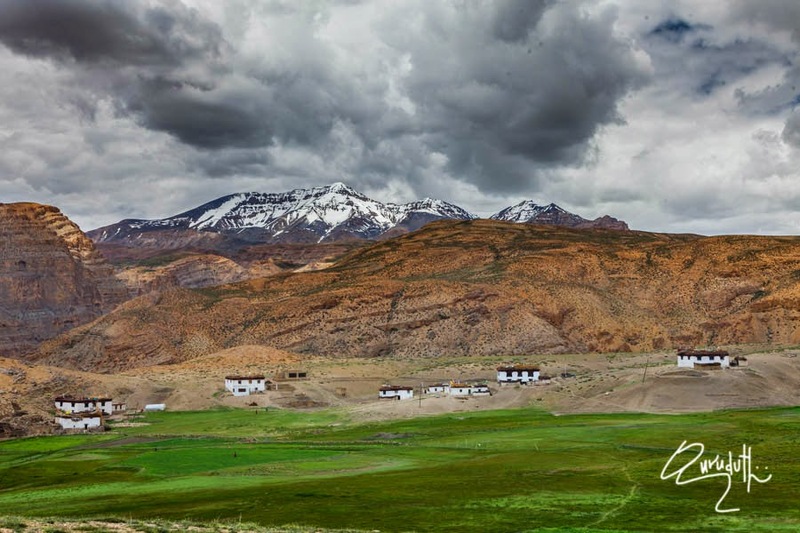 From Kibber, the lush green pastures are spread over hundreds of square Kms. 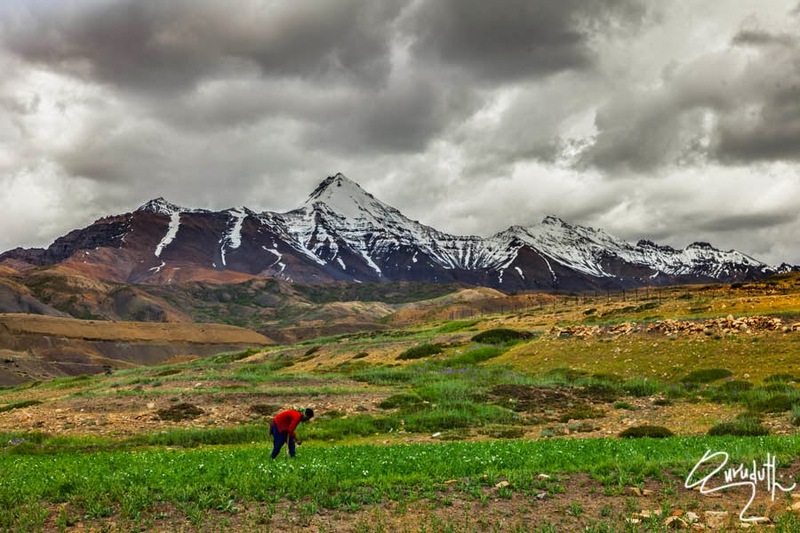 Kibber is the take off point for the popular “Yak-trek” to “Tso Moririn Lake”, of Ladakh region. 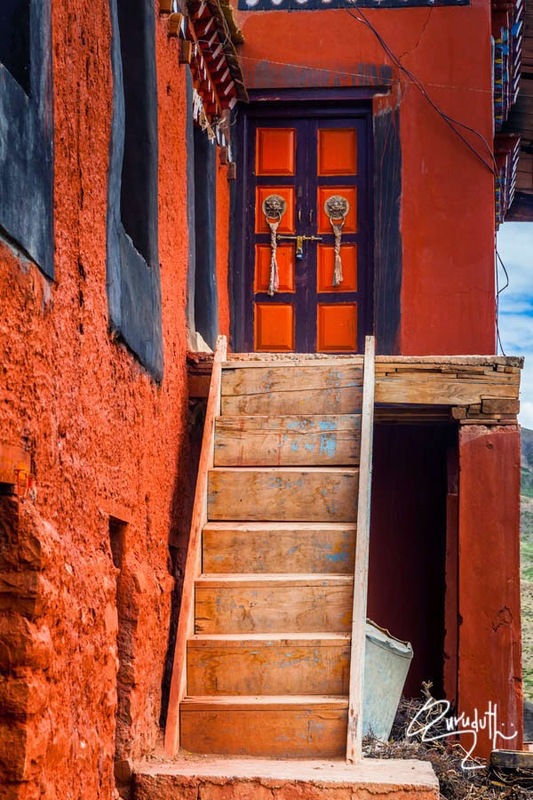 Local villagers still use this “Ancient Trekking Trails” on “Yak backs” to trade or barter their horses for Yaks or to sell for cash. 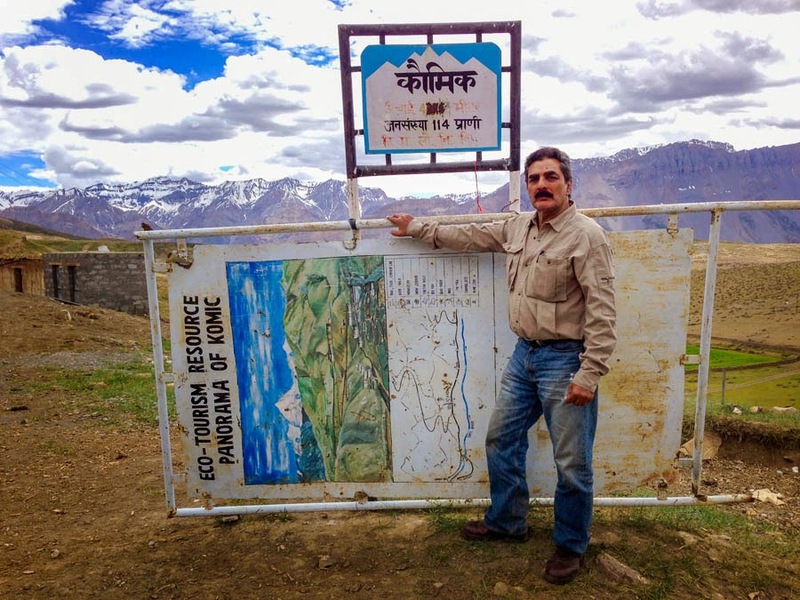 It’s a four days traditional trekking to trek through “Parahg La Pass” of Spiti region to “Tosomore Lake” of “Leh-Ladakh” region. 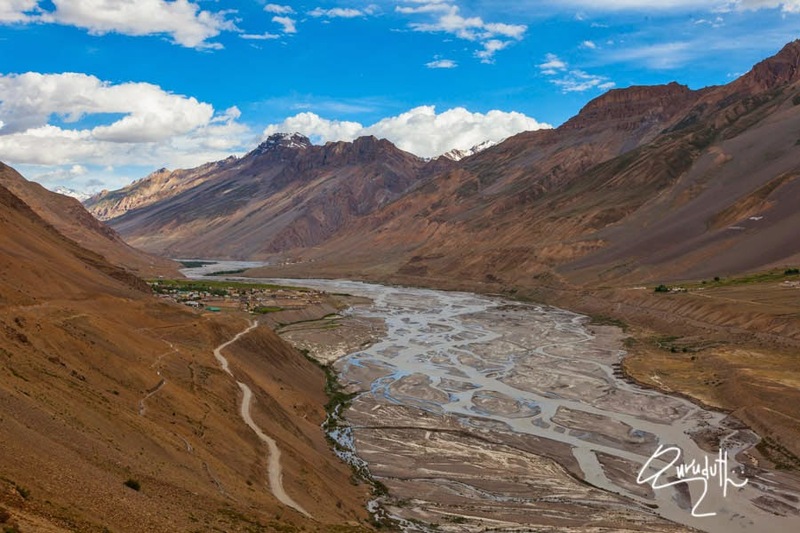 Kibber also falls on the old route that was used over centuries by traders from Trans-Himalayas to reach Spiti for the annual fair where traders from Spiti, Kinnaur, Ladakh and Tibet use to participate in this annual fun and fare festival. 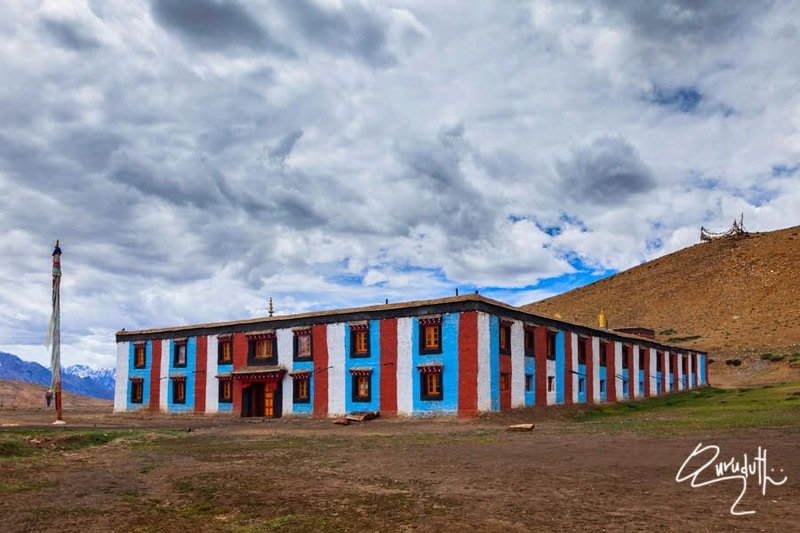 Here they would conduct trading of Yaks, Horses, cattle, double-Humped-Camels, domestic spices and the Silk. 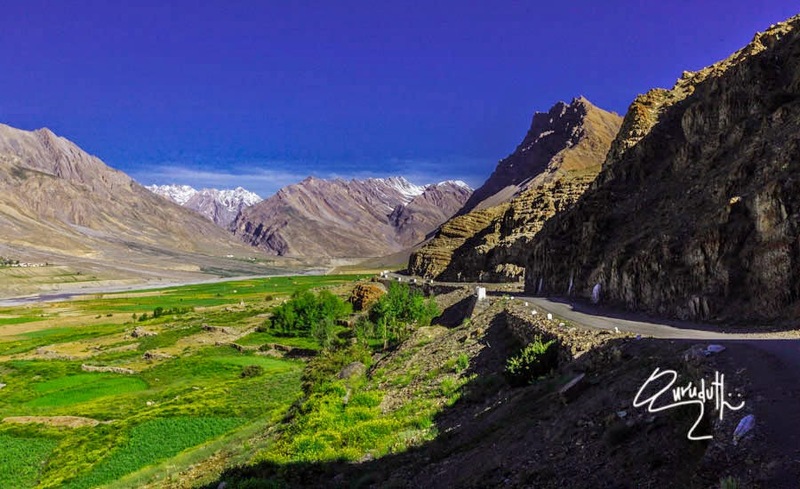 That’s why this route is still called as the Silk route. Further up, 6 Km. from Kibber, we drove up to a still smaller village called as “Gete”. 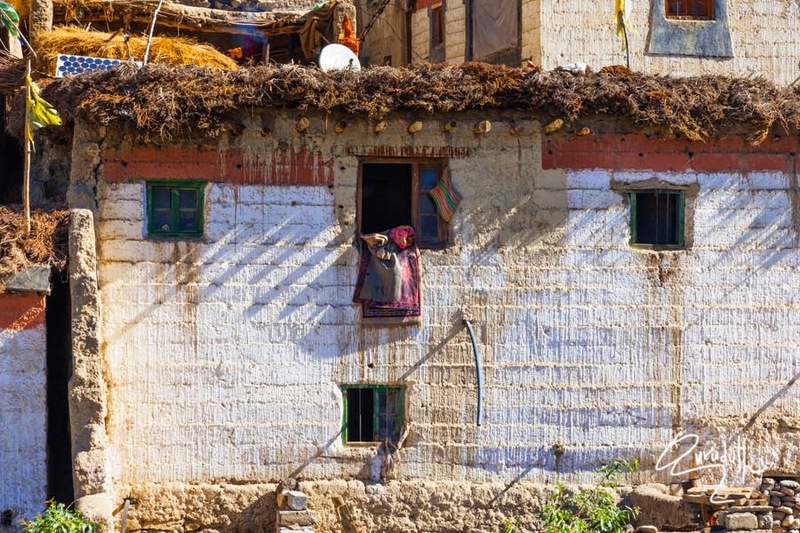 This village is consisting of just only six houses, with a population of just (30). 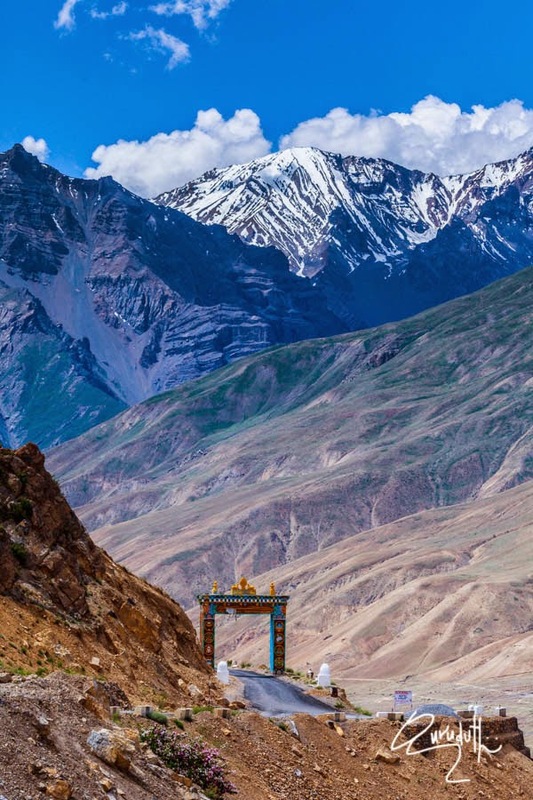 It boasts of being the third highest village in Asia connected by road. 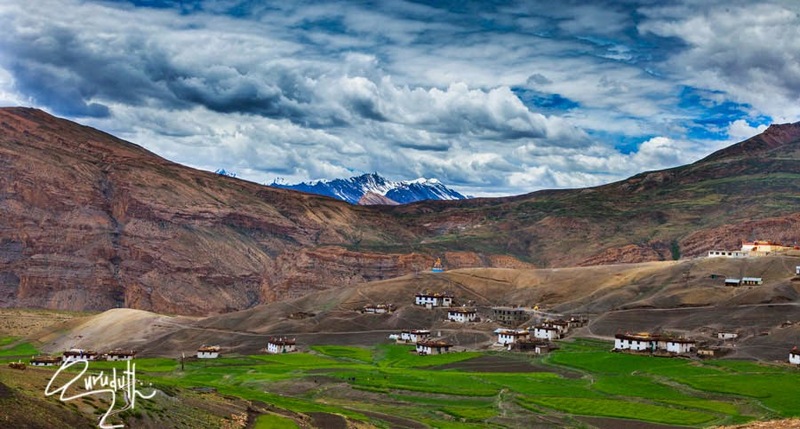 The view from here of the whole Spiti valley is truly spectacular. 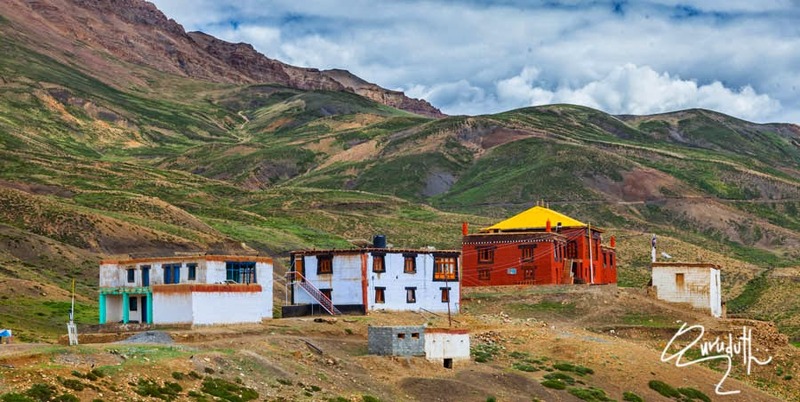 Here for the willing and the adventurous, there is also an availability of a trek via short-cut to Ki monastery that takes less than an hour’s (hiking). 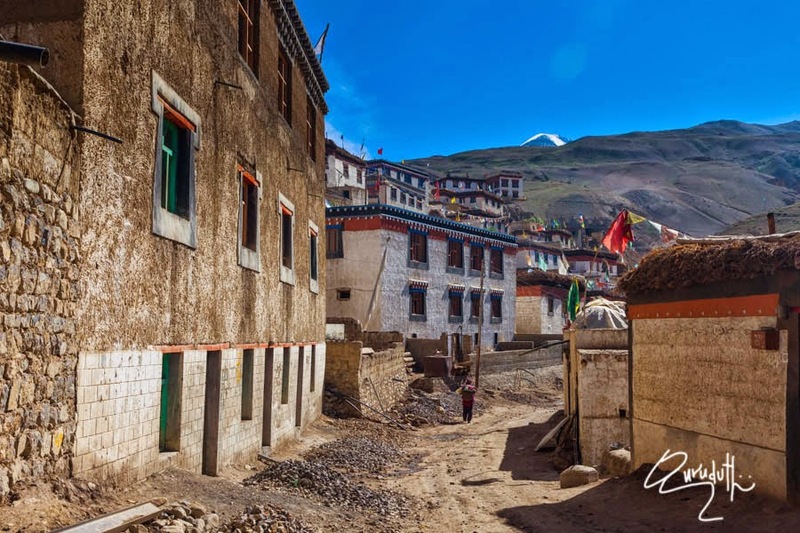 A short drive ahead is the pretty village of Tashigong. 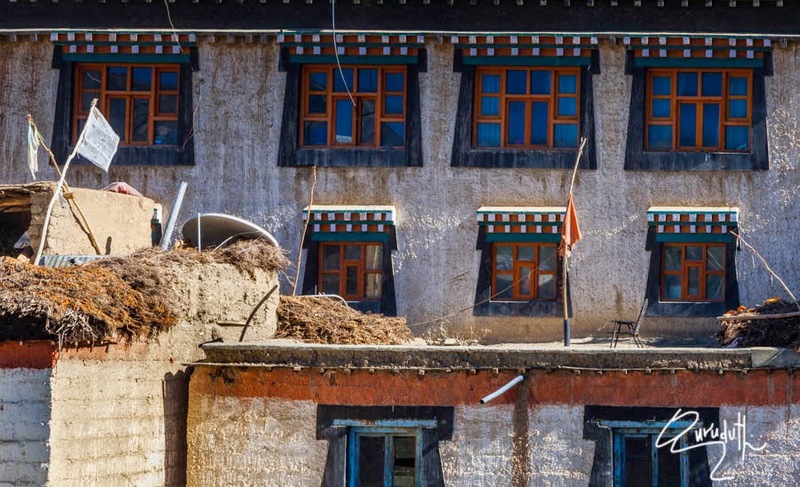 It is now considered sacred earth as the present Dalai Lama stayed here once. He said that Tashigong reminded him of his home. The view of Shilla peak from here is breathtaking. 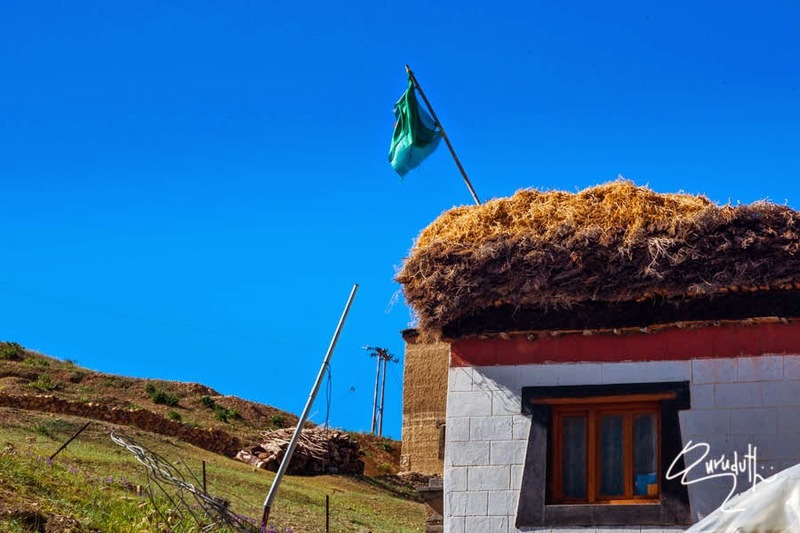 It is a good idea to go to the village and ask for ‘Dahi’- generally made from Yak milk and amazingly tasty. 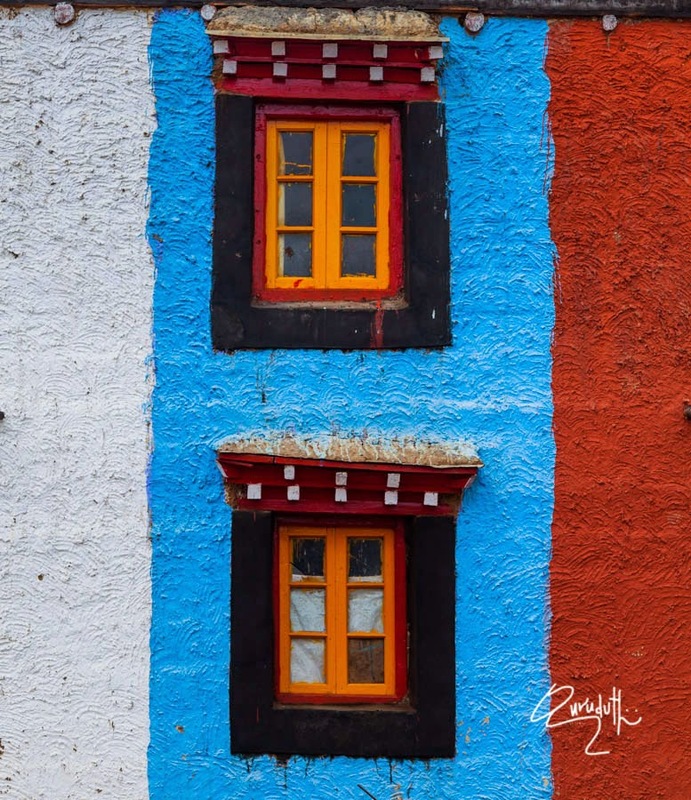 Kaza, Ki, Kibber, Gete and Tashigong are quite close-knit and can be comfortably covered in a day. 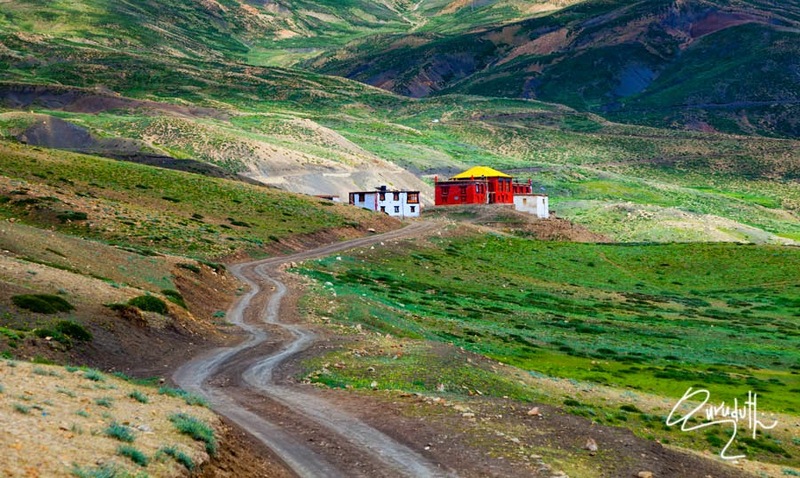 Kibber contains a monastery and the Kibber Wildlife Sanctuary. 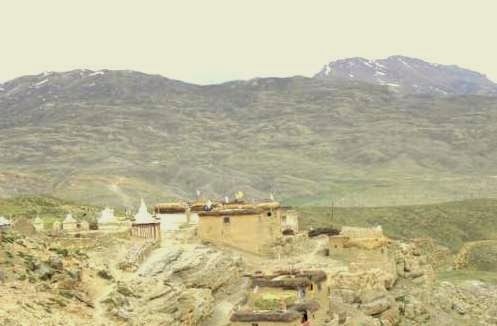 Kibber Monastery was founded by “Serkang Rimpochhe” of Tabo. 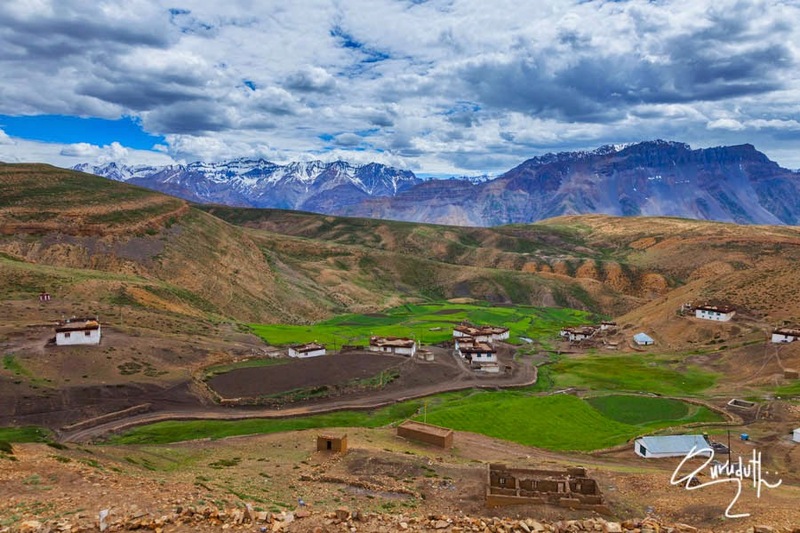 Panoramic View of Kibber Village. 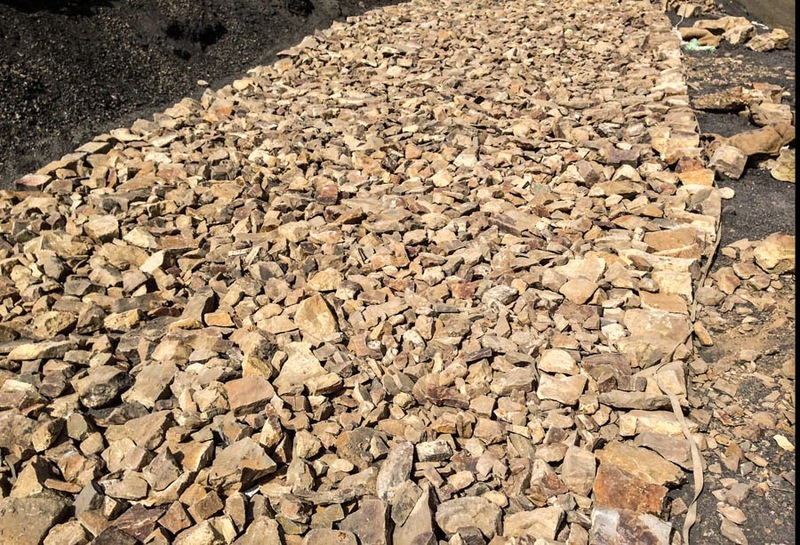 Kibber lies in a narrow valley on the summit of a limestone rock. 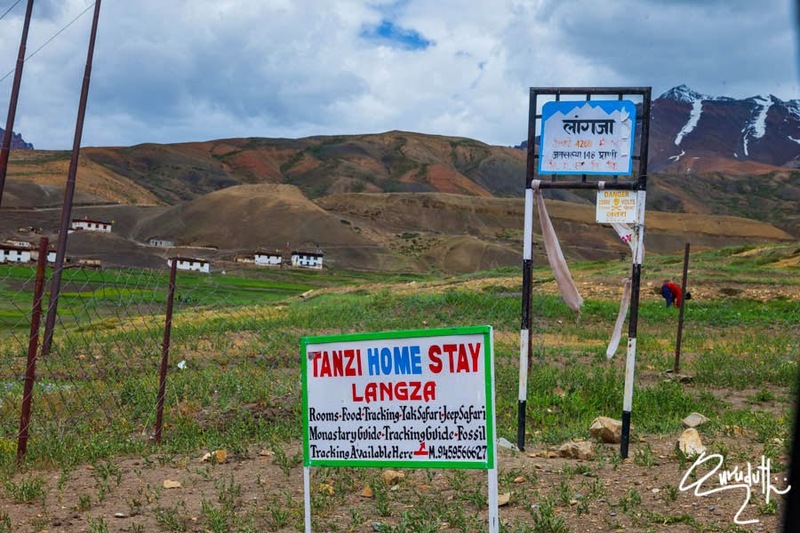 It is located 16 kilometres from Kaza town and twice a day, there is a local bus service that connects Kibber and surrounding villages by road with Kaza town. But the bus service is during the summer months only. 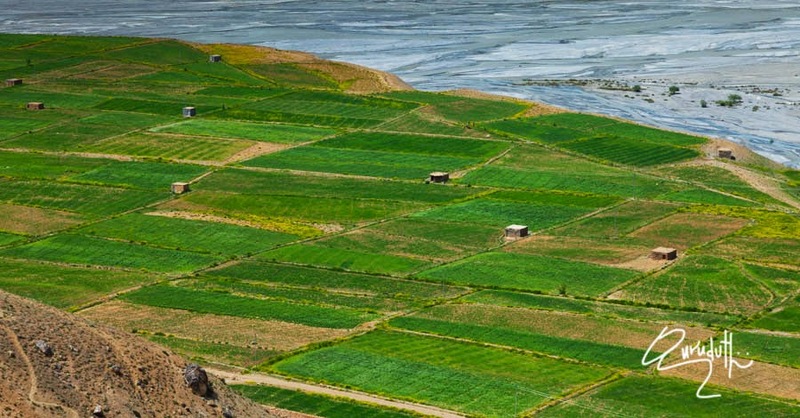 Agriculture farming are the main backbone of the local economy. 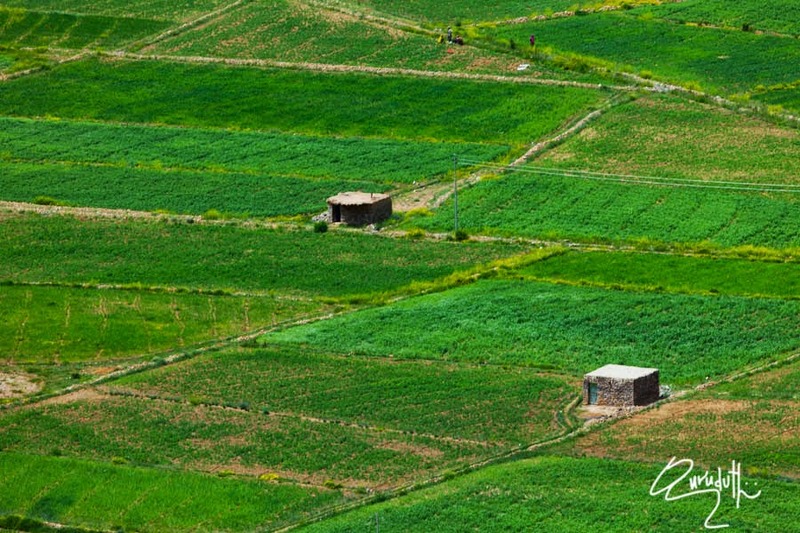 The lush green fields of green peas and potato are abundant. 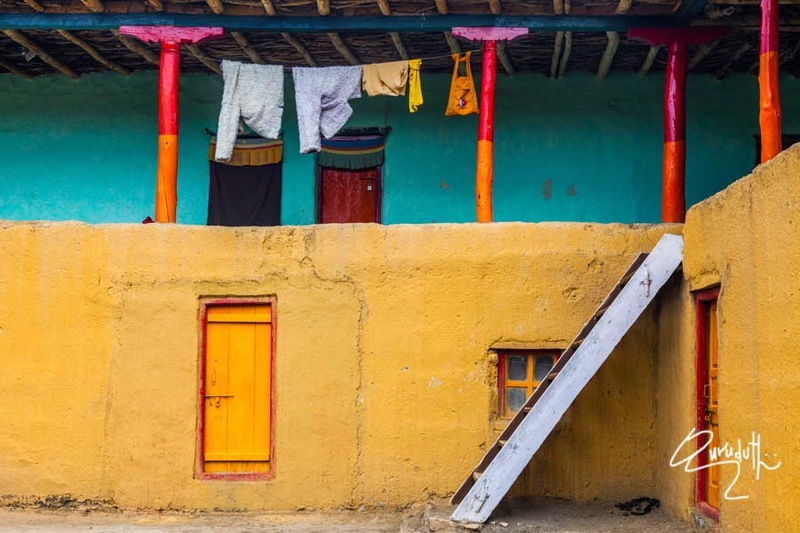 The village has around 80 houses, unique, given that they are made of stone instead of mud or adobe brick used extensively elsewhere in the Spiti valley. Kibber has a civil dispensary, a high school, a post office, a telegraph office and a community TV set is also provided in the village. 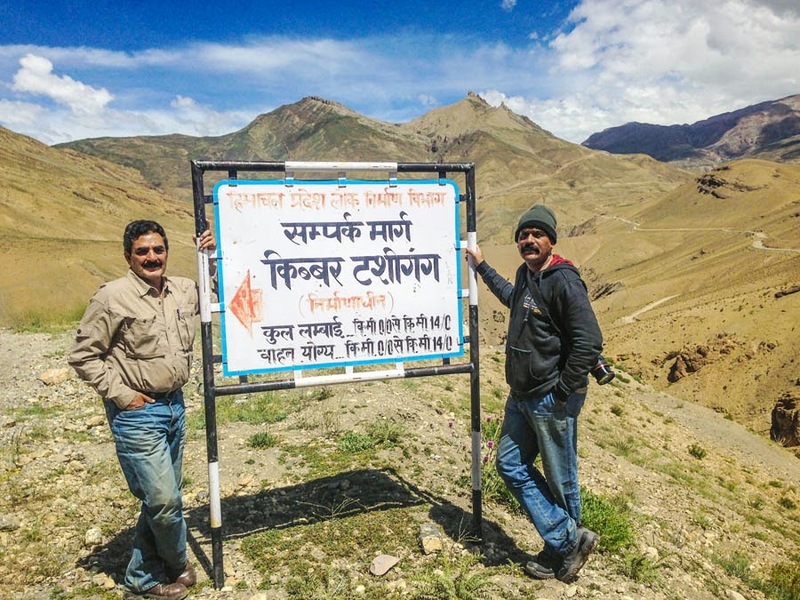 Now Kibber is the 4th highest motor road village in Spiti Area. 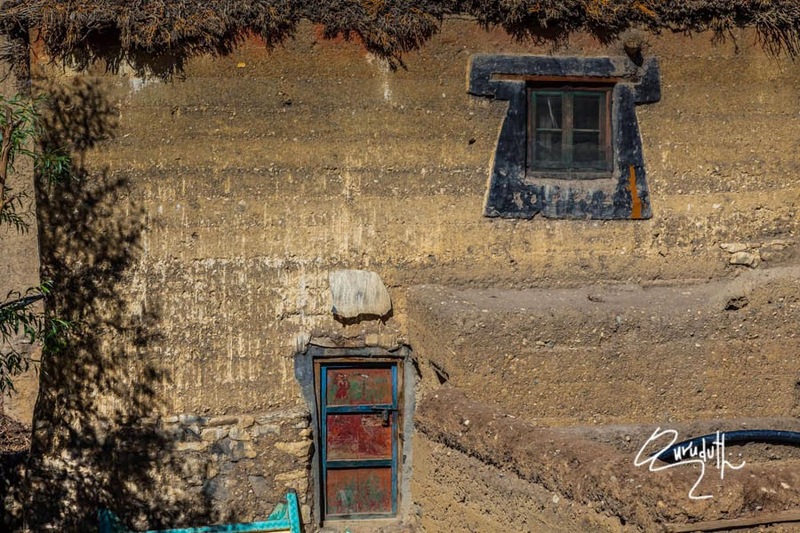 The village has old houses made of mud and the new houses are being built with cement and mortar. 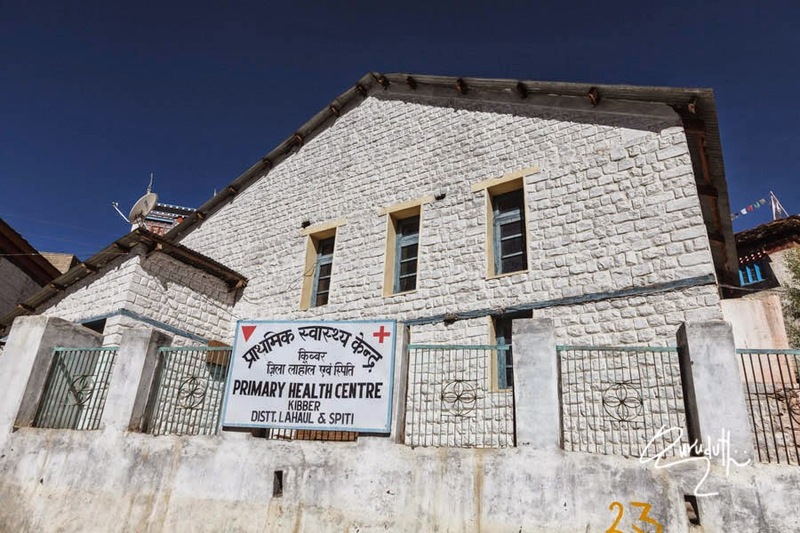 The Village has a Govt School till 12th Standard. There are 28 Students altogether that are given free mid-day meal, free books and free uniforms by the panchayath. There are total of 24 staff members who run this Govt. school that includes 18 teachers also. 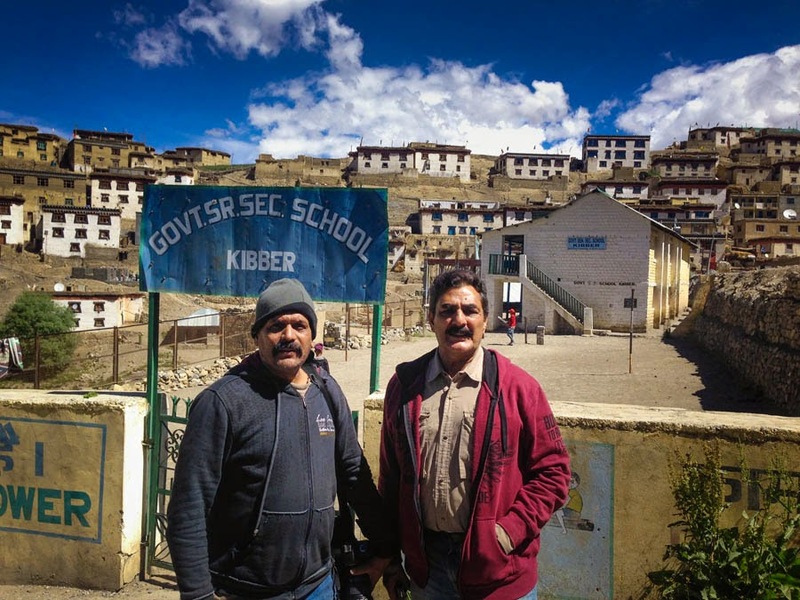 There is a newly constructed cemented big building with modern enmities that hosts the stay of the teachers and the school staff and this building is called as “Gurukul” Panoramic View of Kibber Village. 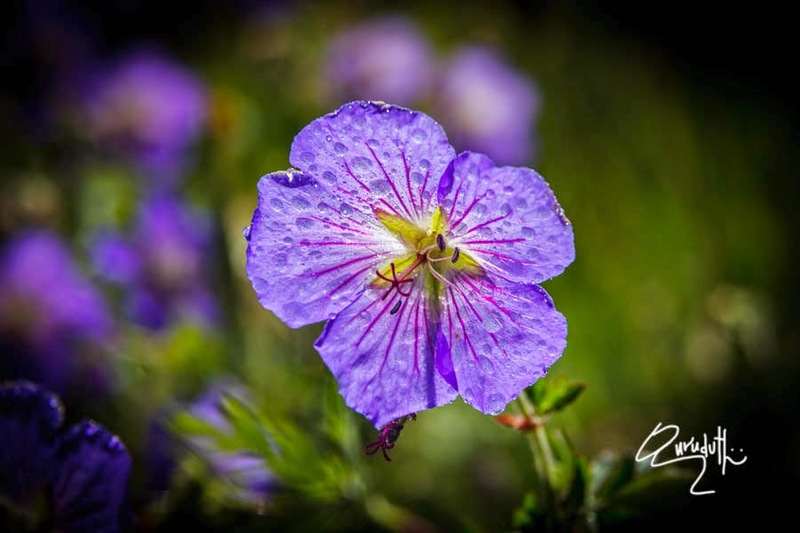 The Tempratue in Kibber varies from 15 degree centigrade in Summer to (-40 degree centigrade) in the winter. 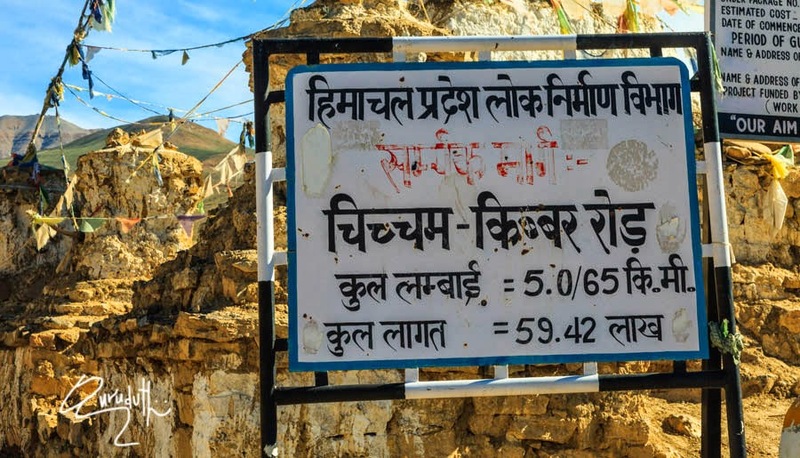 This sign-board-hoarding has a delightful message about some of the animals to be found in the Kibber Wildlife Sanctuary in Spiti. At Kibber,at one of the eating joints, we had our breakfast of Egg Omelettes, Bread Toast and Lemon Tea. View of “Chichum” village only 60 people are the inhabitants in this village. 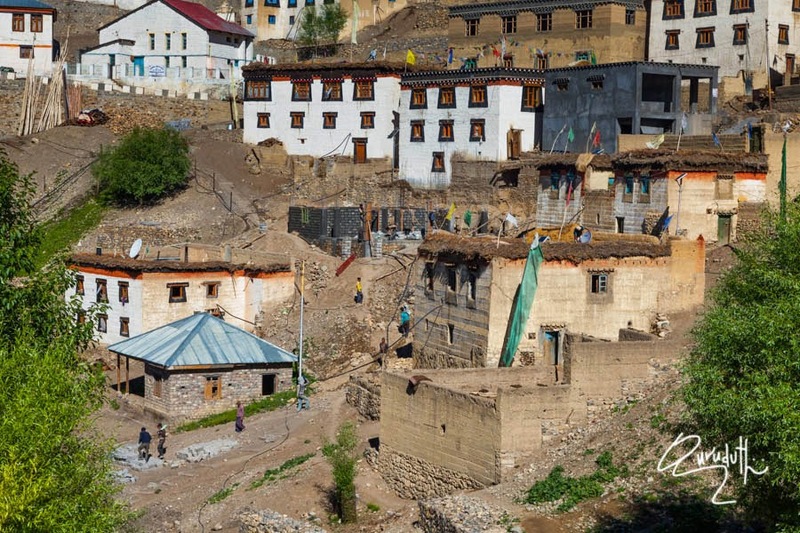 Across the two mountains which are separated by a deep gorge river, there is another neighboring small village called as “Chichum” In this village only 60 people are the inhabitants. As no bridge has been built to connect this village with the main road of Kibber. 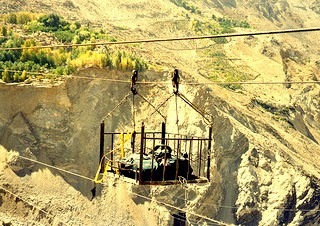 At present, if the villagers from “Chichum” want to come to Kibber village, they have to use “rickety rope-way” with a small trolley chair, which runs on a tight steel rope, whose two ends are tied across on each side of the two separated mountains. To go across to the other side, to run the chair trolley, in either direction, someone has to sit at the edges of each mountain, where the rope ends are tied. Then he / she has to pull the sliding rope of the trolley chair on which someone is sitting. The rope may be only 700 meters long. 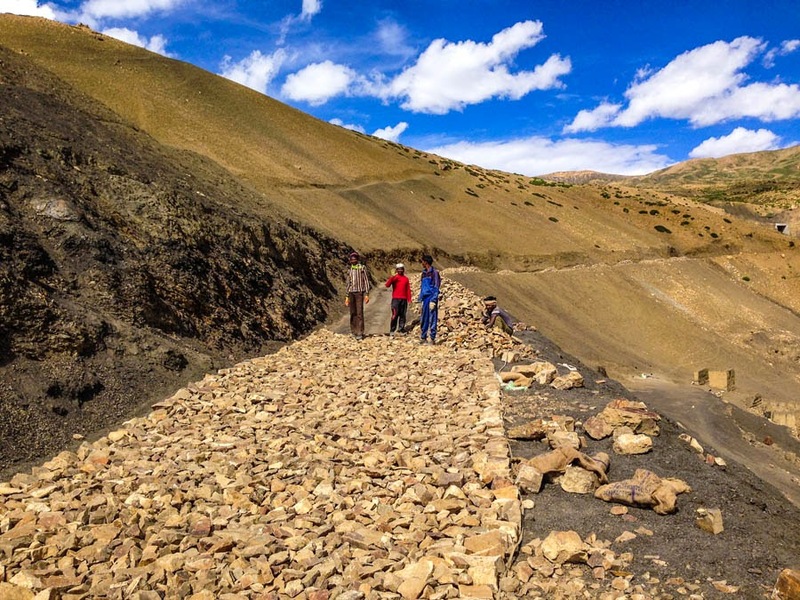 But in case some one wants to travel by road from “Chichum” village to “Kibber” village or to Kaza town, they have to use the motorable road that is about more than 60 Km long which runs through different routes. 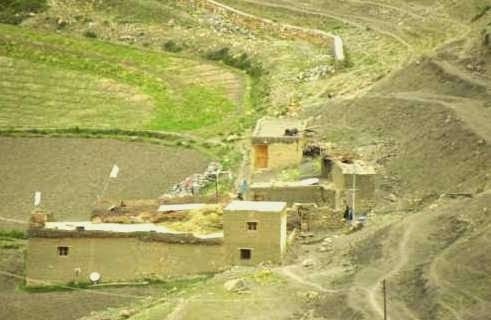 During winter this village of “Chichum” gets completely cut off. During that time no one lives in that village. Every single person from “Chichum” moves down to safety. After breakfast we drove from Kibber towards Keey Monastrey. 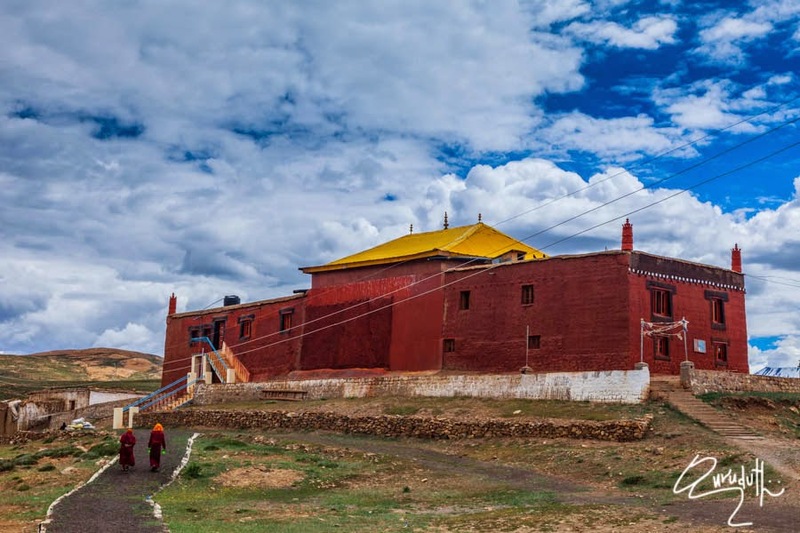 The distance between Kibber and Ki monastery is about 10 Km. This drive is a constant steep downwards drive. 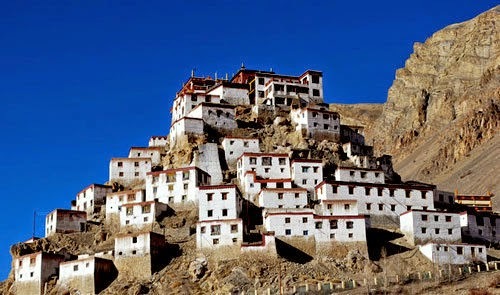 Approximate altitude of Ki Monastery is (13,668 ft) above MSL. 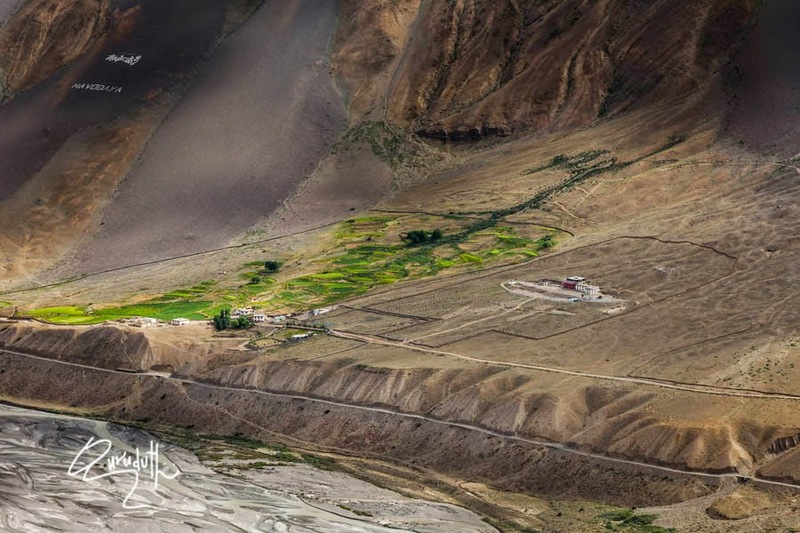 Aerial view of Ki Monastery. 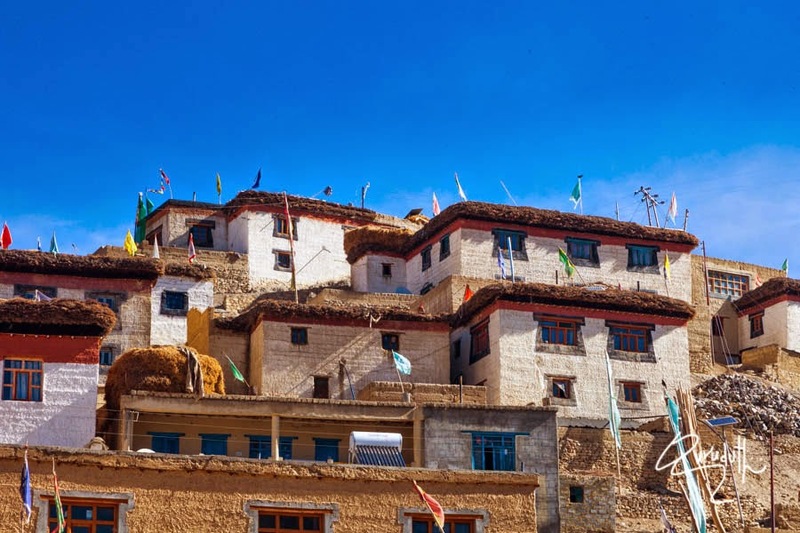 Key Gompa (also spelled Ki, Kye or Kee – pronounced like English key) is a “Tibetan Buddhist monastery located on top of a hill at an altitude of (13,668 ft) above MSL, close to the Spiti river in he Spiti valley. 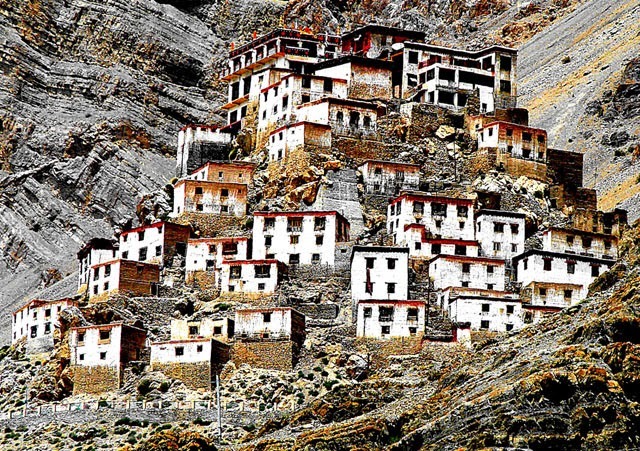 It is the biggest monastery of Spiti Valley and a religious training centre for Lamas. 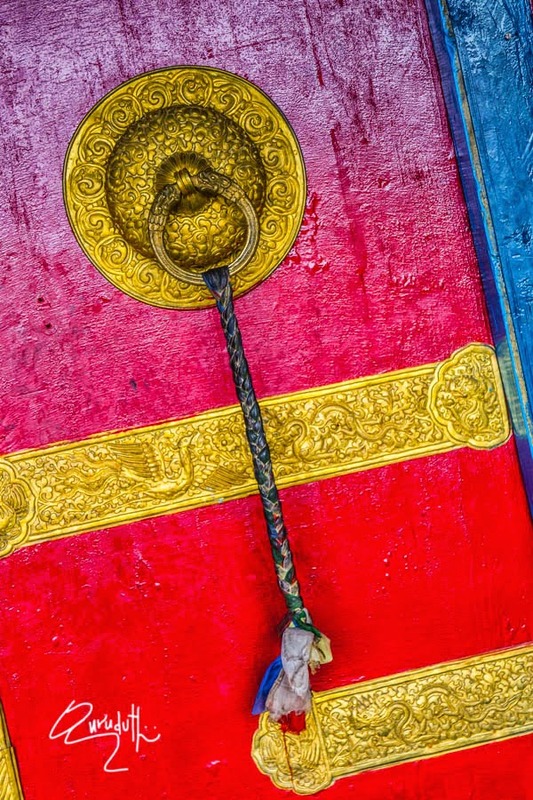 It reportedly had 100 monks in 1855. 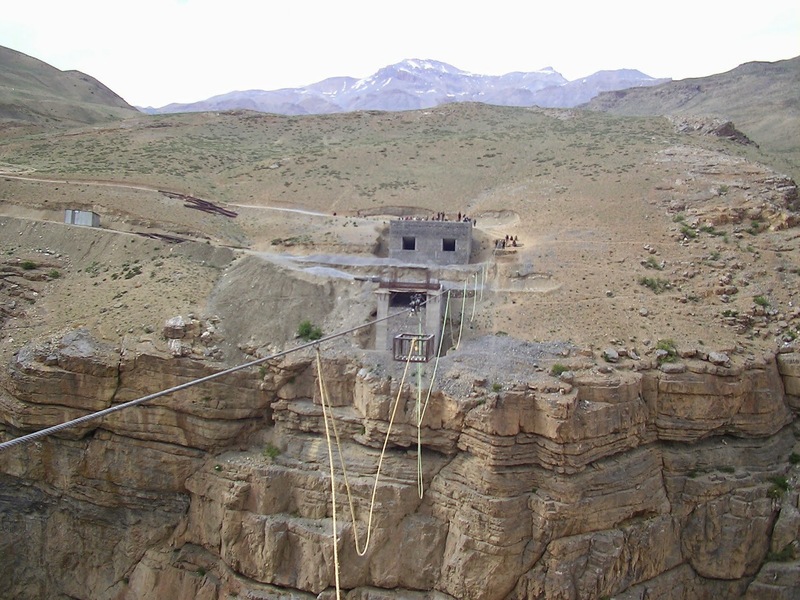 Kachen Dugyal Memorial Old Aged – Handicapped Society, Spiti Monastery, 2004. Apparently, extensive new facilities have been built. 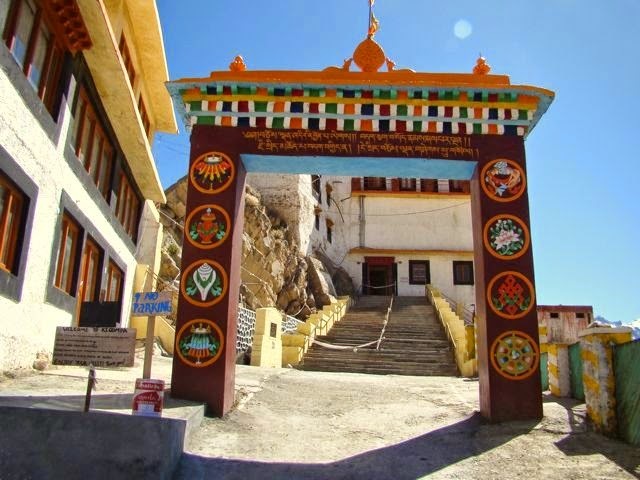 Key Gompa is said to have been founded by “Dromton” (Brom-ston, 1008-1064 CE), a pupil of the famous teacher, “Atisha”, in the 11th century. 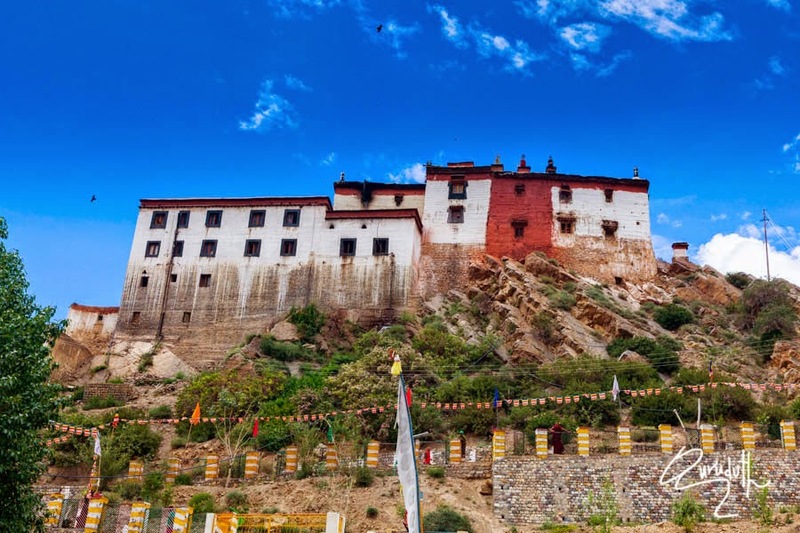 This may however, refer to a now destroyed “Kadampa” monastery at the nearby village of “Rangrik”, which was probably destroyed in the 14th century when the “Sakya” sect rose to power with “Mongol” assistance. 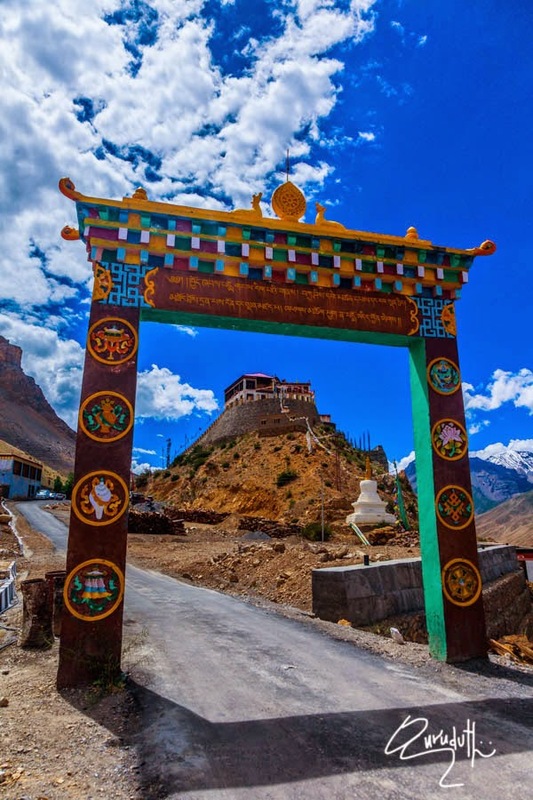 Series of Guruduth's PicturesKey was attacked again by the Mongols during the 17th century, during the reign of the “Fifth Dalai Lama” and became a “Gelugpa” establishment. 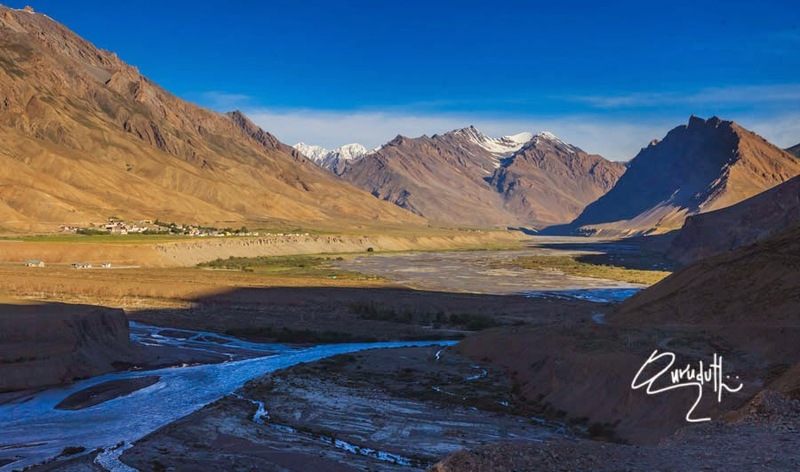 In 1820 it was sacked again during the wars between “Ladakh and Kulu”. In 1841 it was severely damaged by the “Dogara” army under “Ghulam Khan” and “Rahim Khan”. Later that the same year suffered more damage from a “Sikh” army. 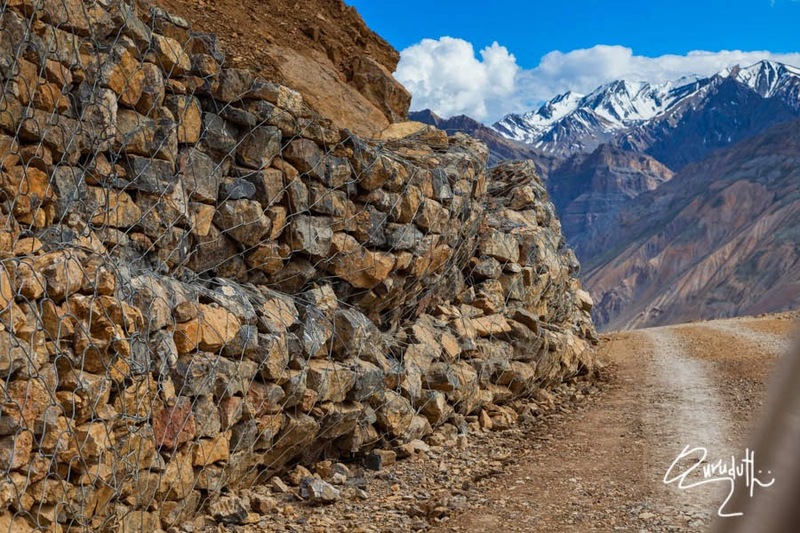 In the 1840s it was ravaged by fire and, in 1975, a violent Earthquake caused further damage which was repaired with the help of the “Archaeological Survey of India” and the State Public Works Department. 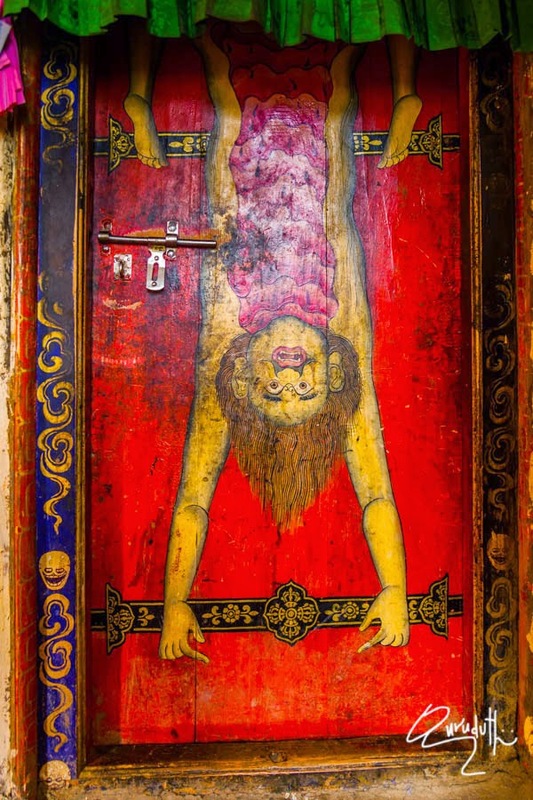 Key monastery has a collection of ancient murals and books, including the “Buddha” images. There are three floors, the first one is mainly underground and used for storage. 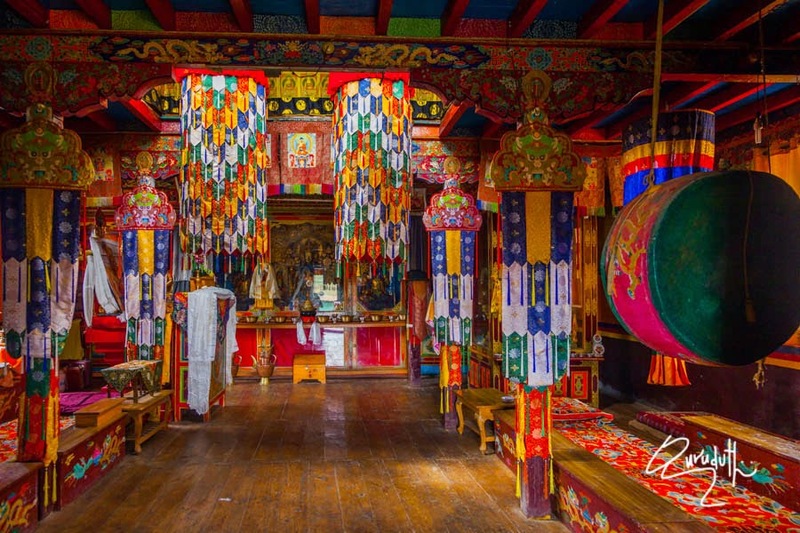 One room, called the “Tangyur” is richly painted with murals.The ground floor has the beautifully decorated Assembly Hall and cells for many monks. 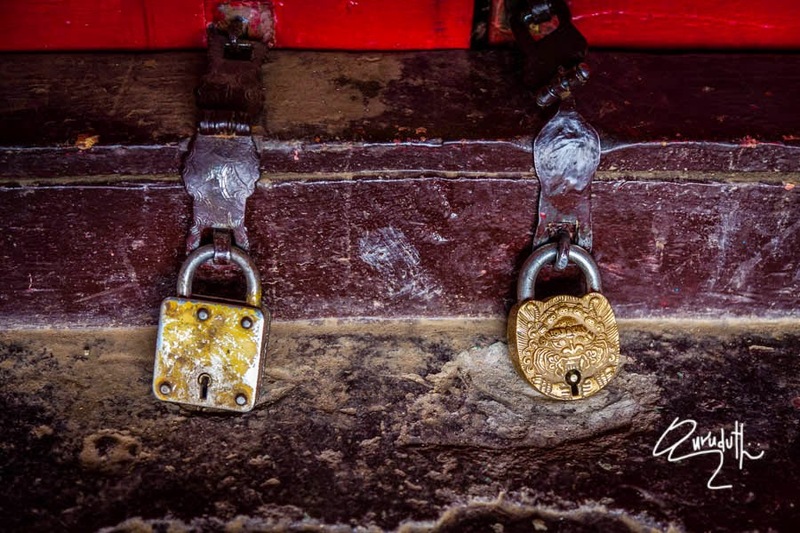 Key Gompa now belongs to the “Gelugpa” sect, along with “Tabo” Monastery and “Drangste” Monastery, one of three in Spiti valley. 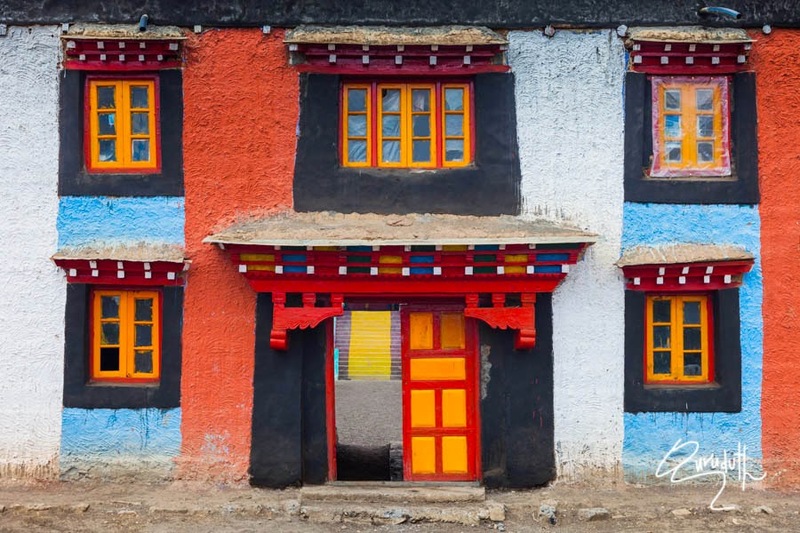 “The monastery of Kee, for instance, accommodates nearly 250 monks, who reside within the sacred walls in winter, and stay during the summer with their parents or brothers, working in the fields, or employed in carrying travellers’ goods. 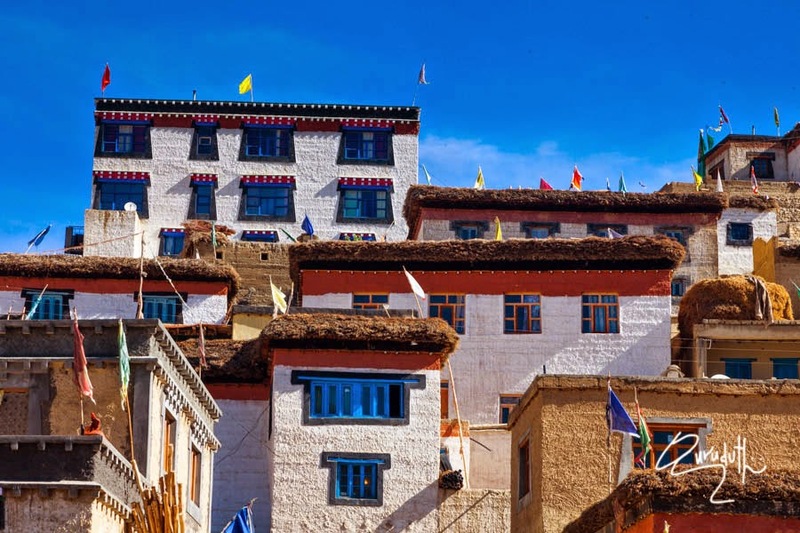 These monasteries have their regular heads, or “abbots”, and the higher ecclesiastical titles can only be obtained by the candidates proceeding in person to either Shigatzee (Shigatse) or Lhassa (Lhasa). 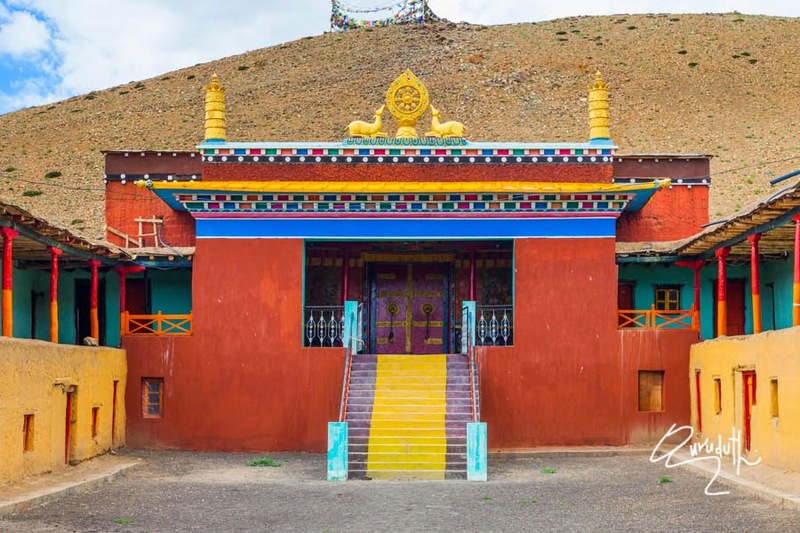 Here at this “Ki” Monastery, a celebration of its millennium, “Kalchakara” was conducted in 2000 in the presence of the “14th Dalai Lama”. From Ki Monastery we drove upwards on a very narrow and steep road to go to Komik (Karmic) Monastery. 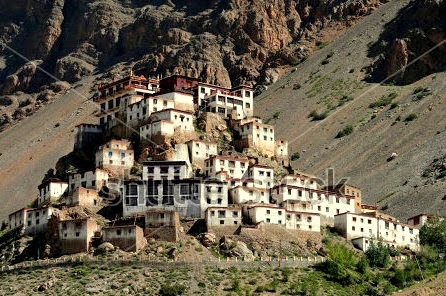 Karmic monastery must be about 8 Km fom Ki monastery. Its a road that must be very sparsely used. Not much traffic is on this road. During our long drive we crossed only two tourist vehicles on this road. 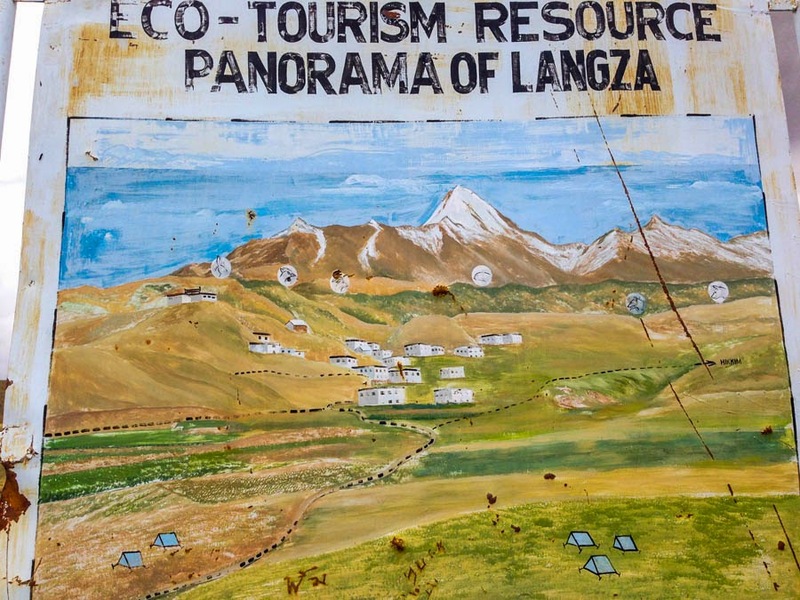 Just before reaching Karmic, we had to pass through a small Hamlet called as "Langza village"
which has only about 10 to 15 houses. But the village is full of agricultural farms. 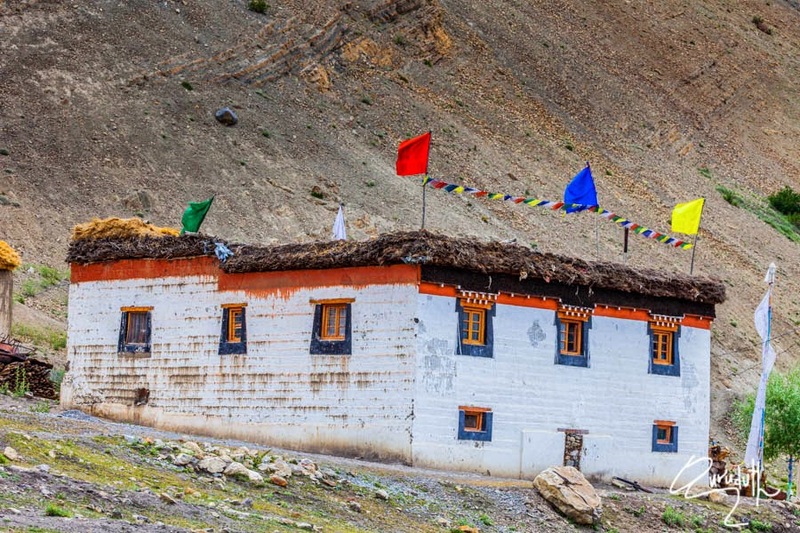 There is a small Gompa also in the village. 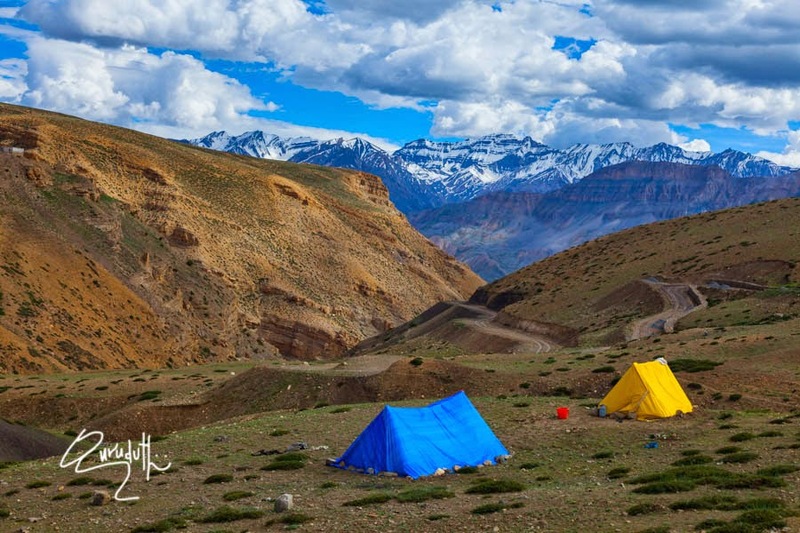 A little away from the village there were Swiss campers who had pitched their tents and were camping there in the “Lands of Lamas”. 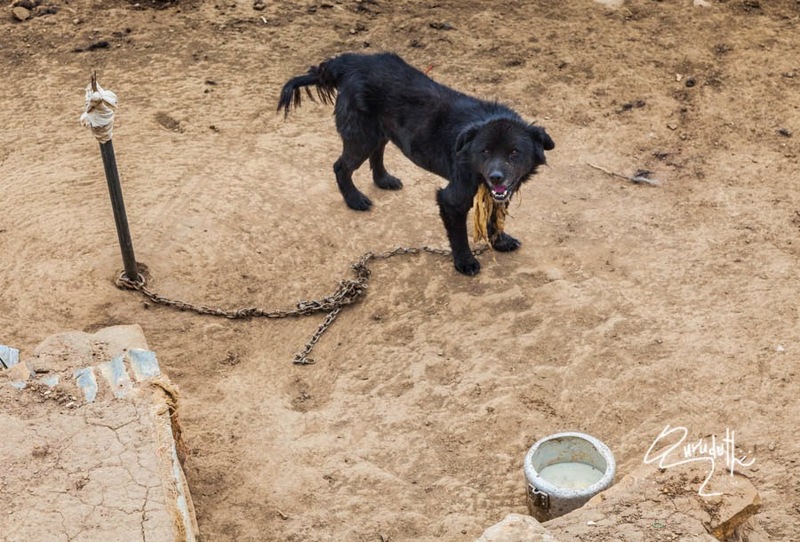 They were carrying their own all the required items, for cooking, for staying, for sleeping and for exploring. They were having great time of their life. 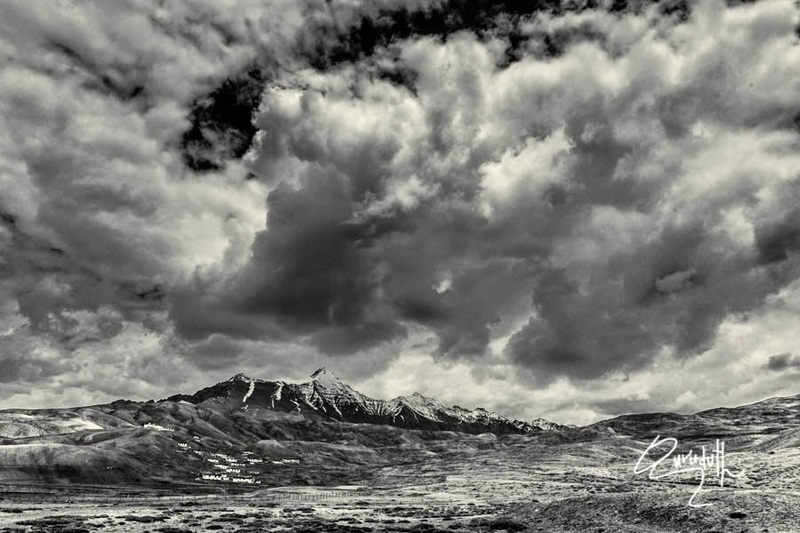 We continued driving the lonely road, though not very sure whether were we on the right trail or not. But being a lonely road there was no one to help us or guide us. 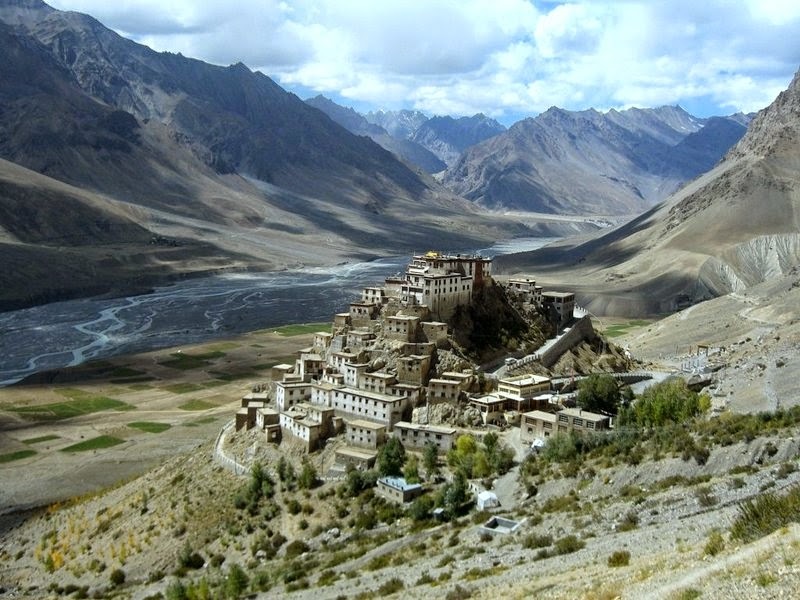 Anyway we continued driving and after 20 minutes we were bit relieved because from a distance we spotted Karmic monastery. 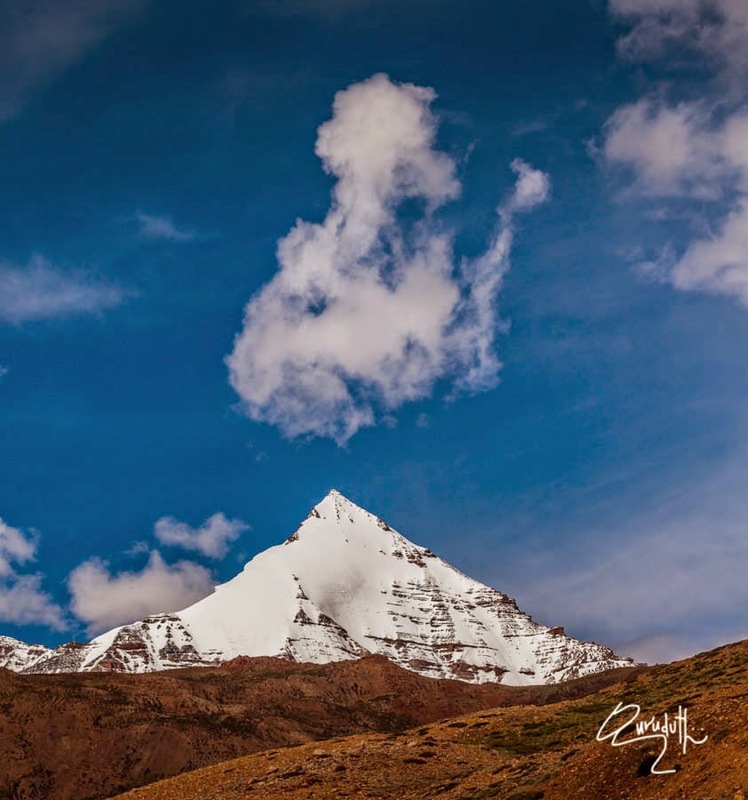 It is situated at an altitude of (15,049 ft) above MSL. Distant view of Kormic Monastery. 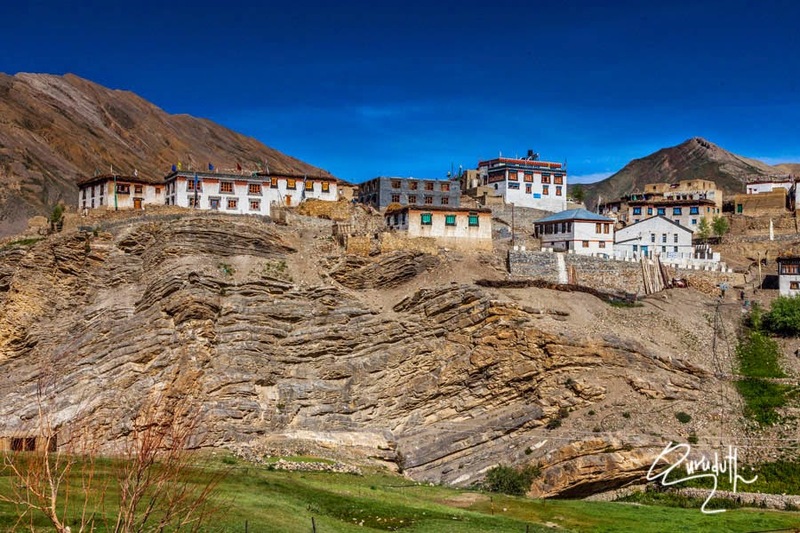 The “Tangyud” Monastery also written by the (Tang-rGyud, Tangyuth) or “Sa-skya-gong-mig” Gompa at Hikim/Komic, near Kaza, in Spiti valley. 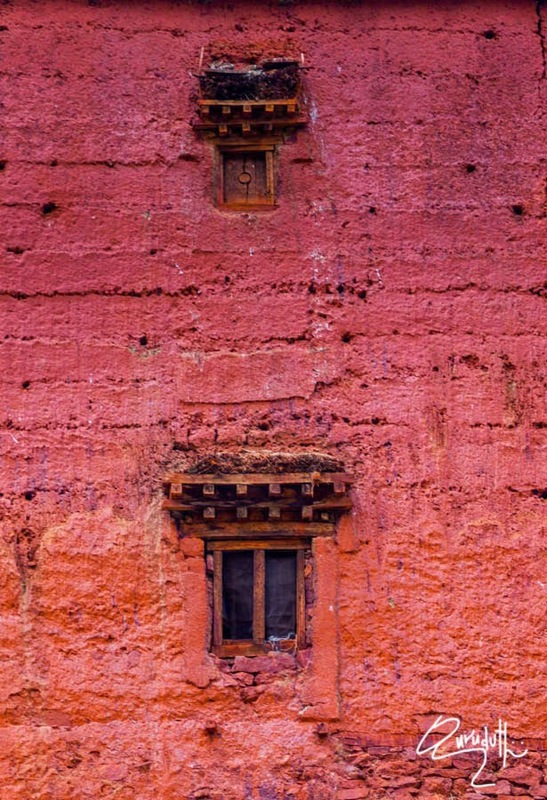 It is built like a fortified castle, on the edge of a deep canyon, with massive slanted mud walls and battlements with vertical red ocher and white vertical stripes which make them look much taller than they really are. 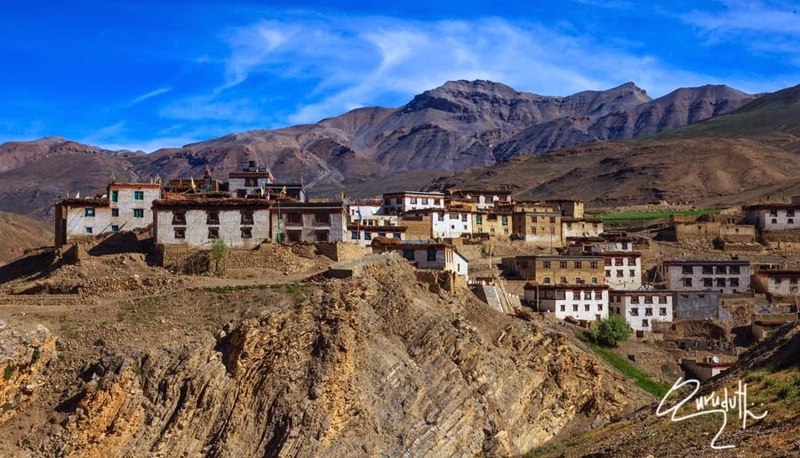 Situated on the edge of a deep canyon and overlooking the town of Kaza, Spiti, is 4 km from the town. 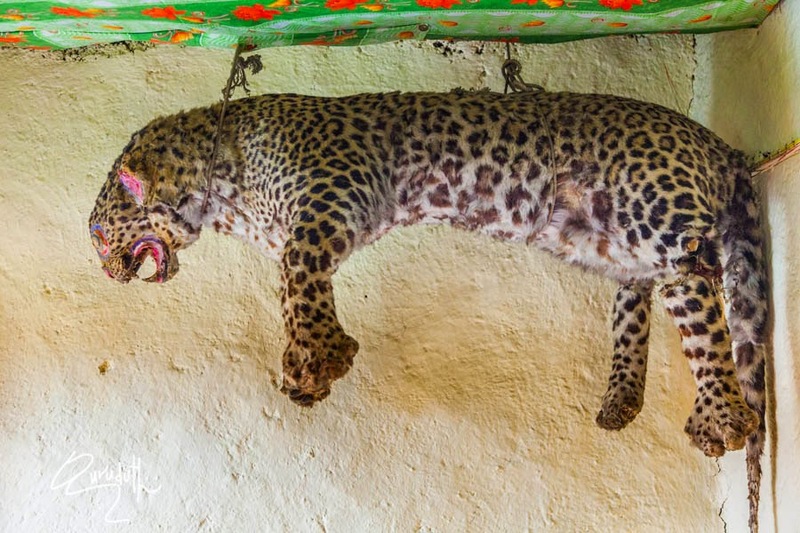 It is located on the periphery of the “kibber Wildlife sanctuary”. 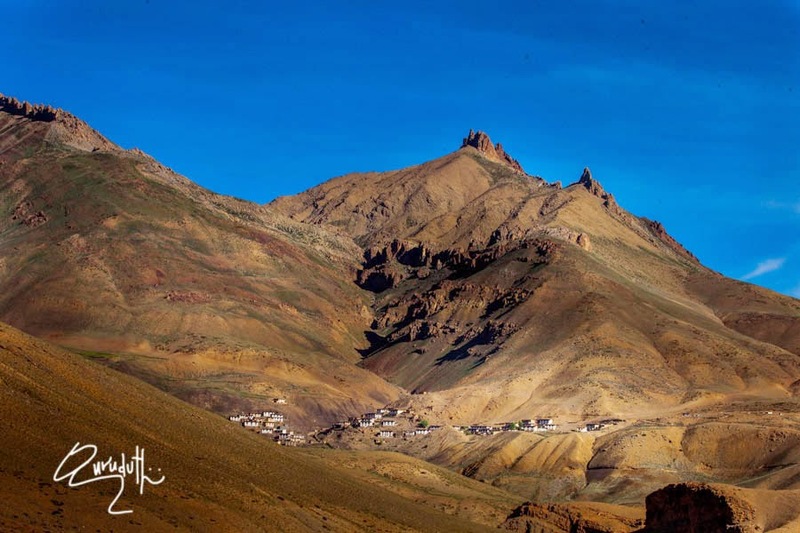 Hikkim is a village in “Lahaul and Spiti district. 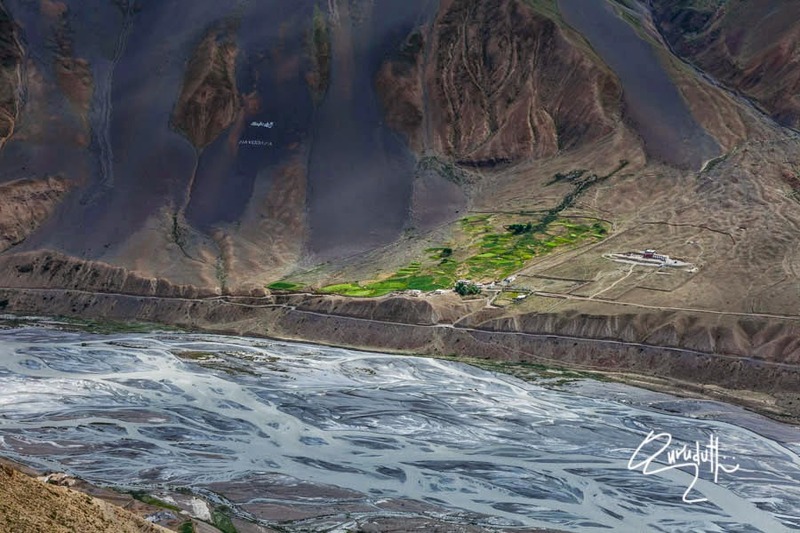 It is near to the Kaza location. 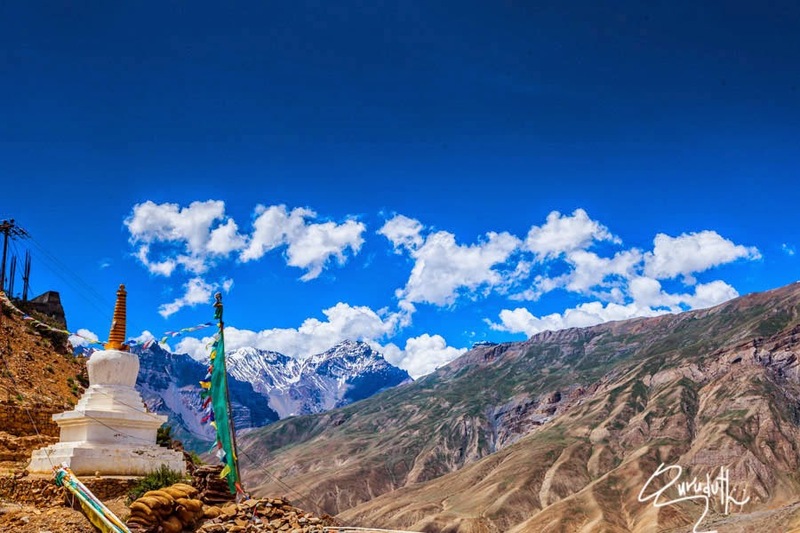 It is one of the highest locations in India. Most of the people are Buddhists. The region remains cut-off from other regions for half the year due to heavy snow fall over the passes. 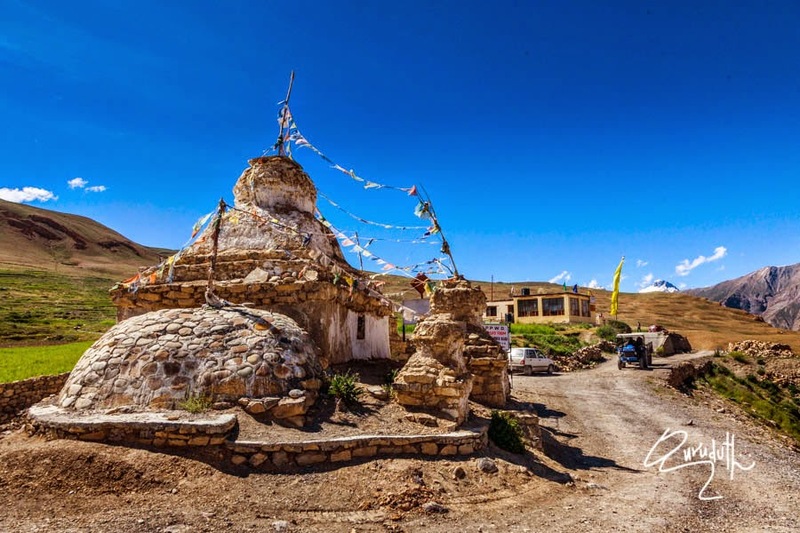 People use stones extensively to build houses and structures.”Tangyud Gompal Monastery” is located near to this location. 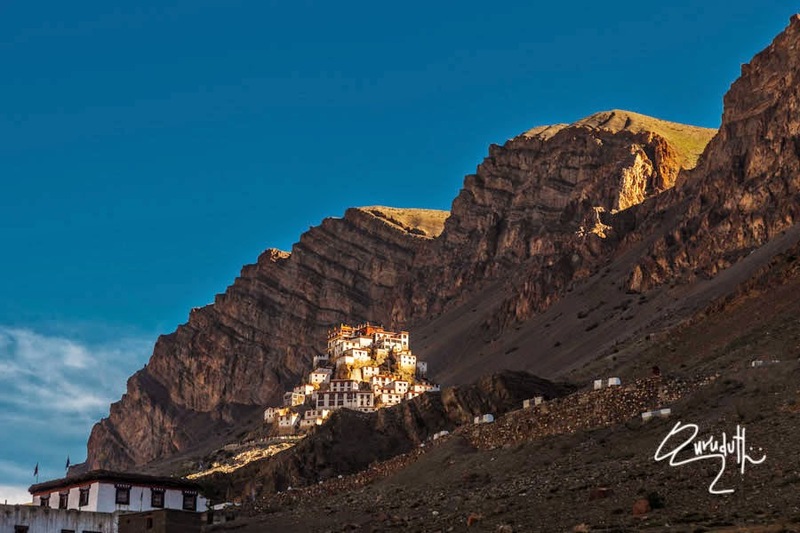 It is one of only two monasteries belonging to the “Sakya” Sect left in Spiti – the other, at Kaza itself, is small and relatively insignificant. 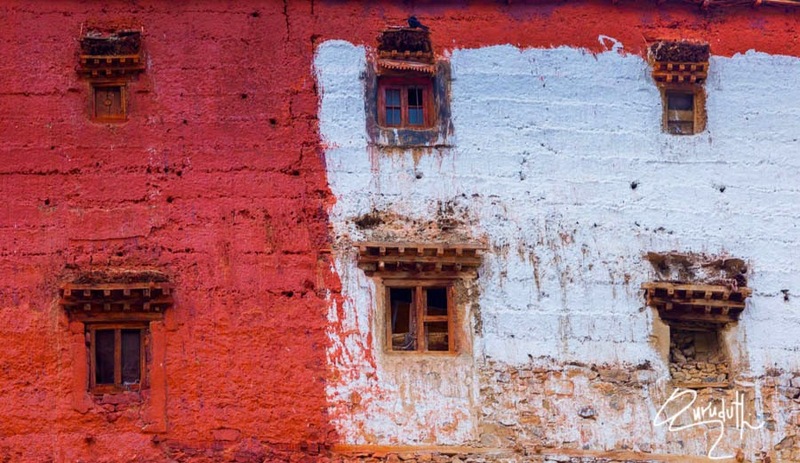 It reportedly had 60 monks in 1855. The Young Monks studying in the sun. 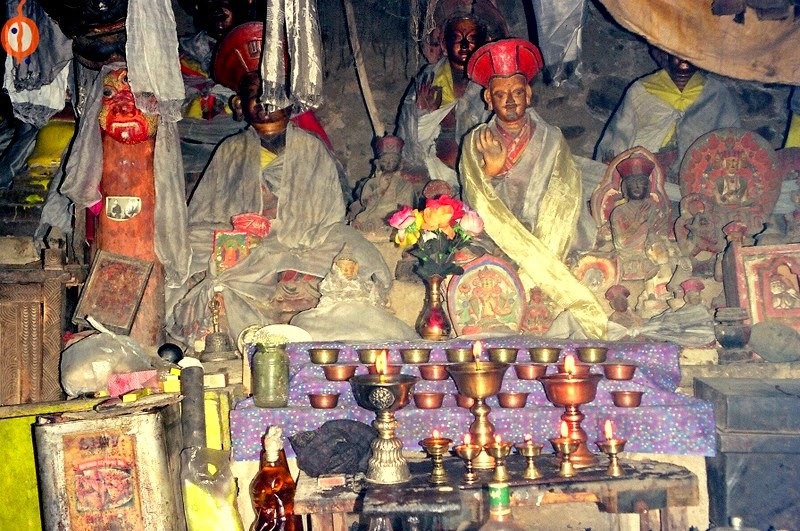 Tangyud Gompa. 2004. 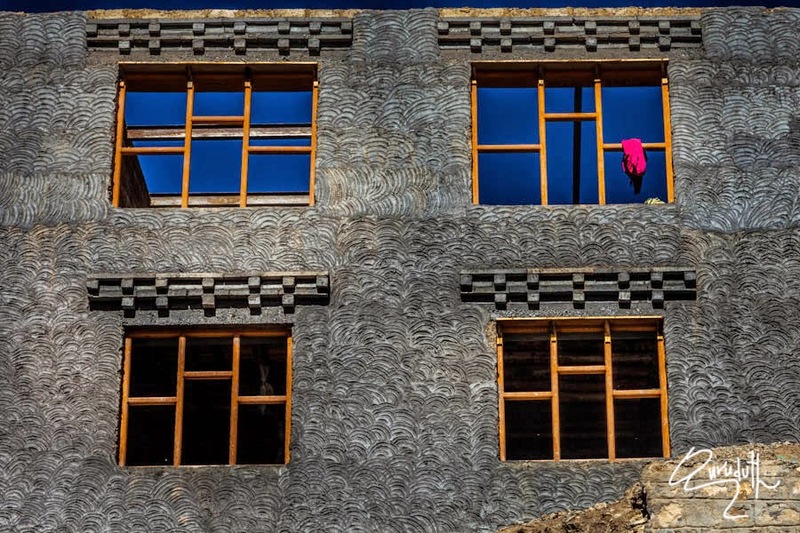 Although it is considered by locals to be very ancient, an examination of the present fortified structure modelled on a Chinese castle, and other circumstantial evidence, makes it likely that it was built early in the 14th century when the “Sakyapas” rose to power under “Mongol” patronage. 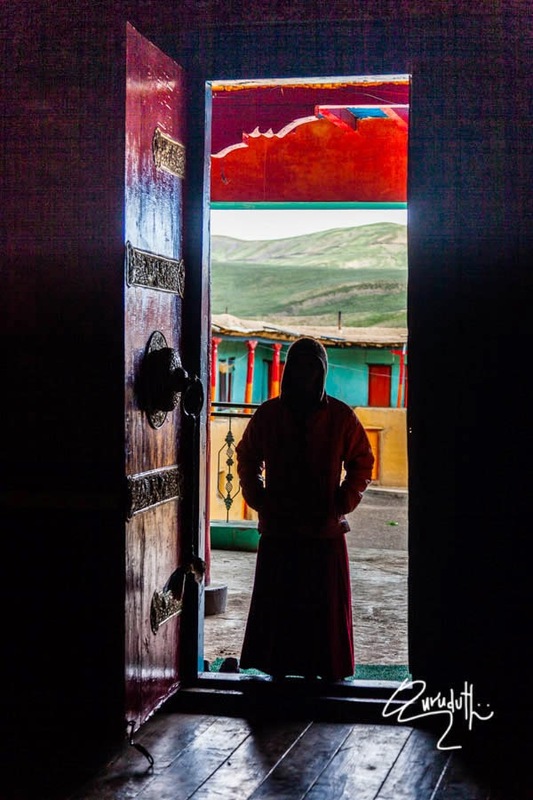 It is thought, however, that there was an earlier “Kadampa” establishment here founded by“Rinchen Zangpo” (958-1055 CE) and named “Rador-lha”. 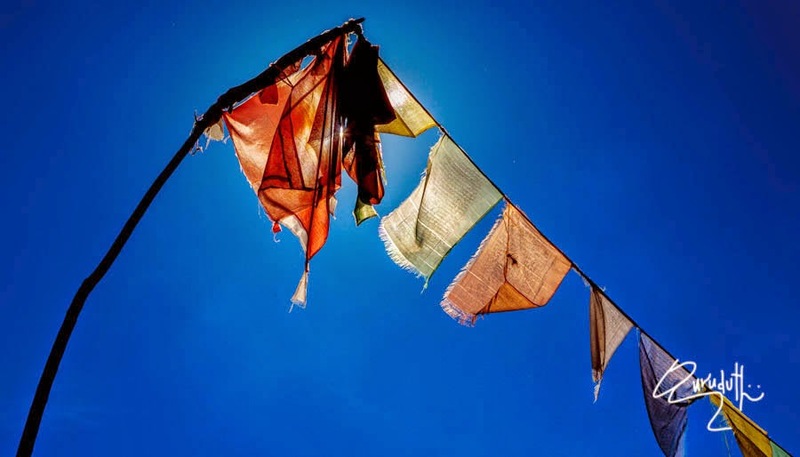 The name, “Tangyud”, may refer to the “Sakya” revision of the “Tang-rGyud”, or the 87 volumes of Tantra treatises which form part of the “Tengyur”. 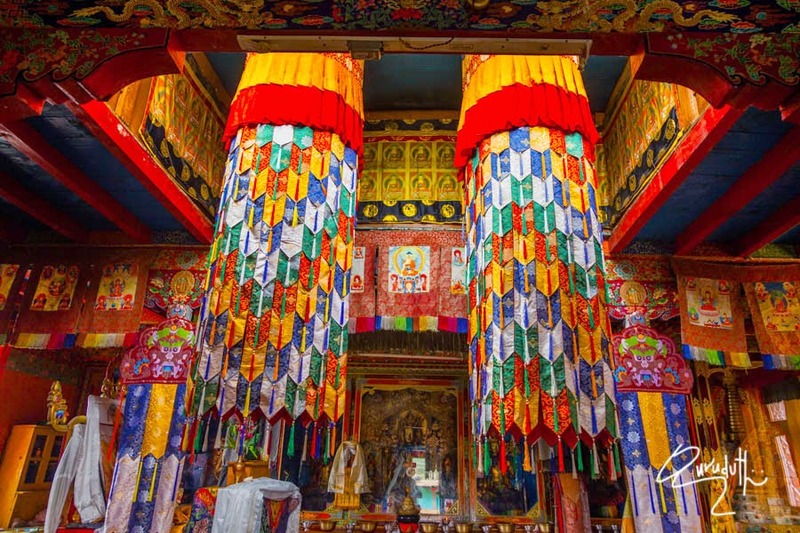 This was carried out about 1310 CE by a team of scholars under the Sakya lama, Ch’os-Kyi-O’d-zer. 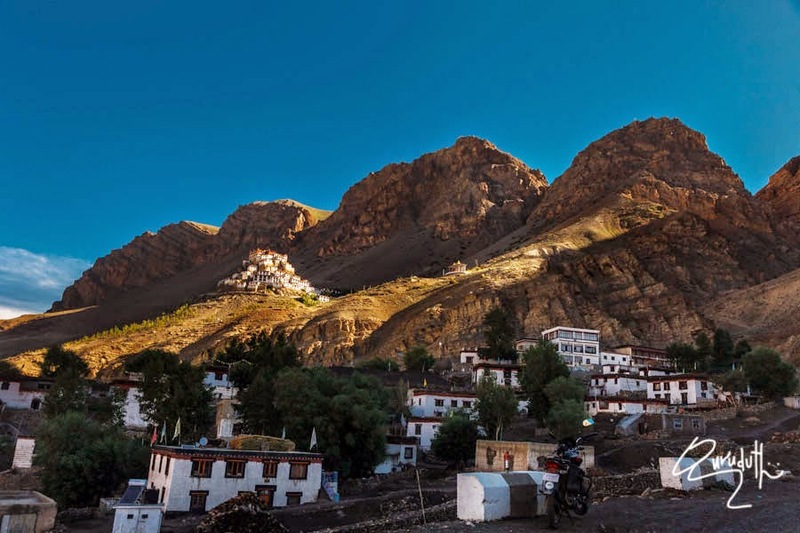 The monastery is patronised by the ‘Nonos’ or local chieftains of Spiti and the monastery has a special cell built into southeastern side for them when they visit. 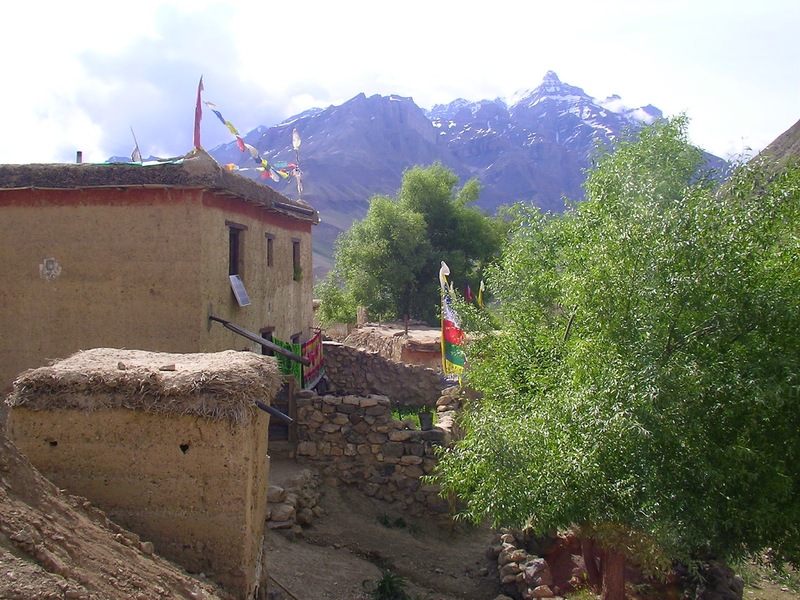 Tangyud village is at the foot of the monastery (altitude 4,470 m or 14,665 ft). 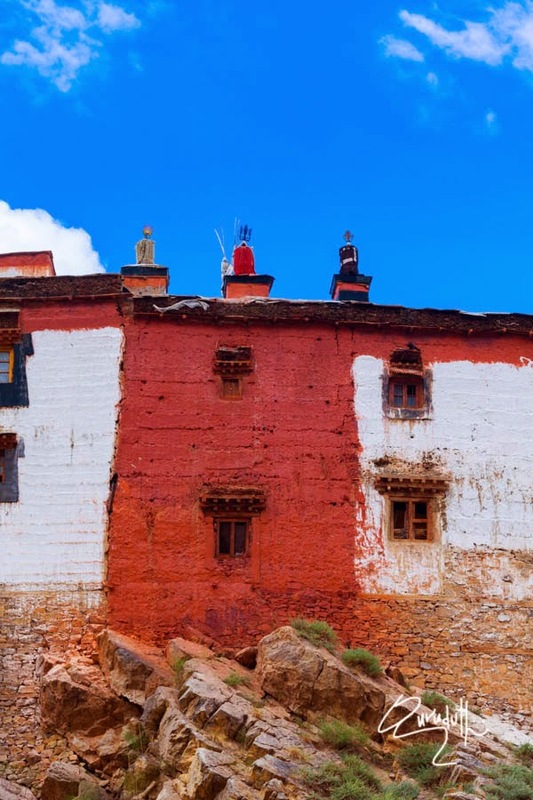 The monastery itself was apparently badly damaged in the earthquake of 1972. 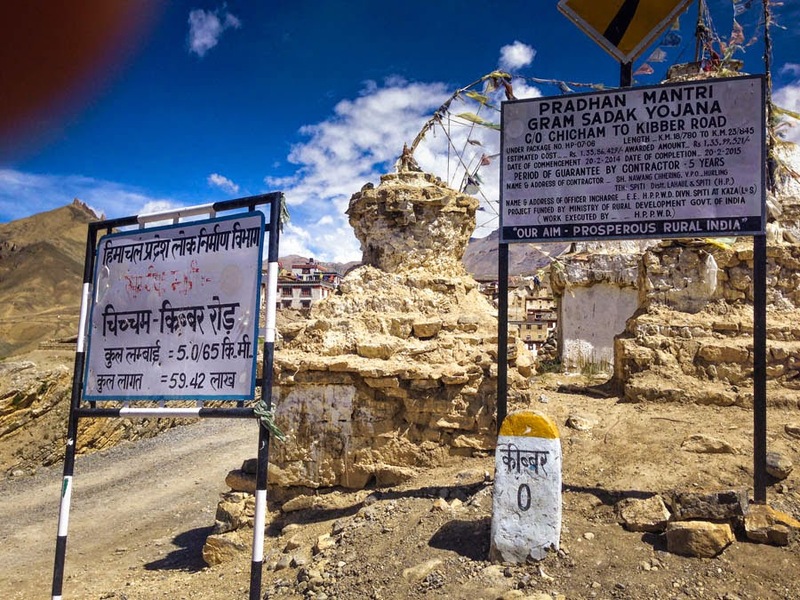 It is situated at an altitude of (15,000 ft) above MSL. 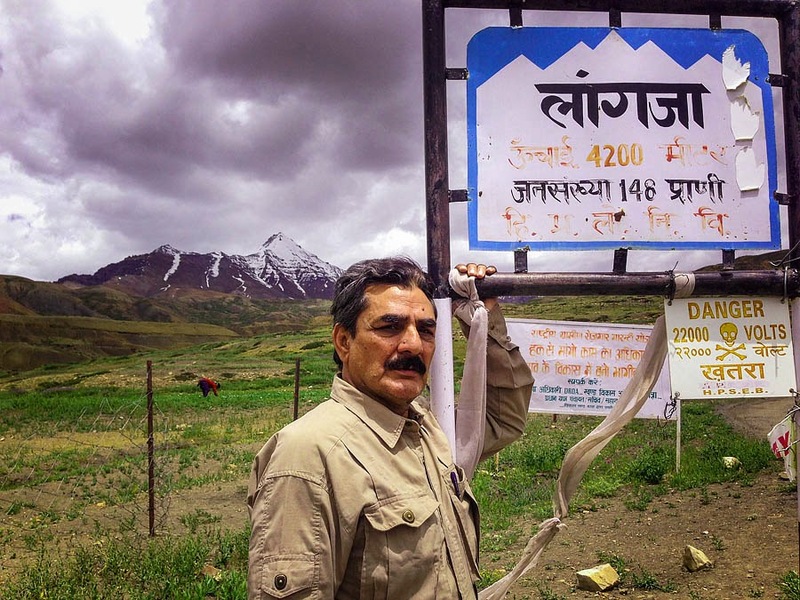 This village is credited as World’s highest polling station. It is recorded in the “Limca Book of Records” also. 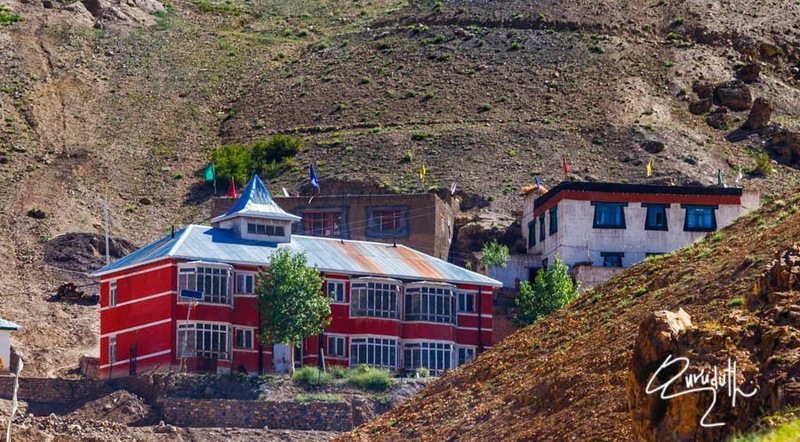 The location is also credited to have the World’s highest post office. The “Pin Code” is (172114). 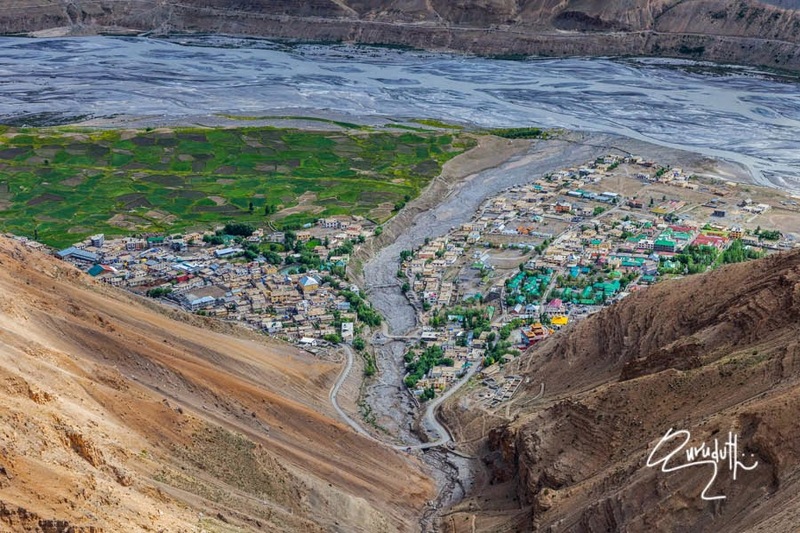 Aerial view of Hikkim village, clicked from Komic Monastery. 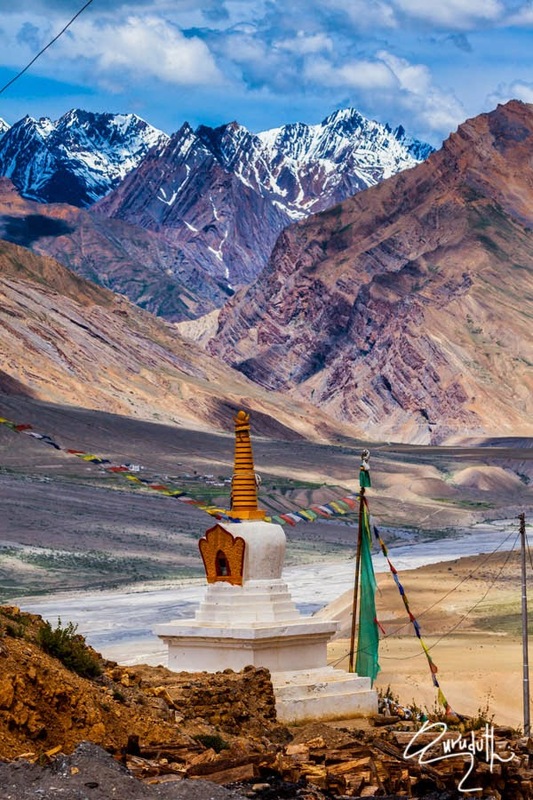 The place is a cold desert dotted by tiny and sparse helmets perched over the peaks of Great Himalayas. 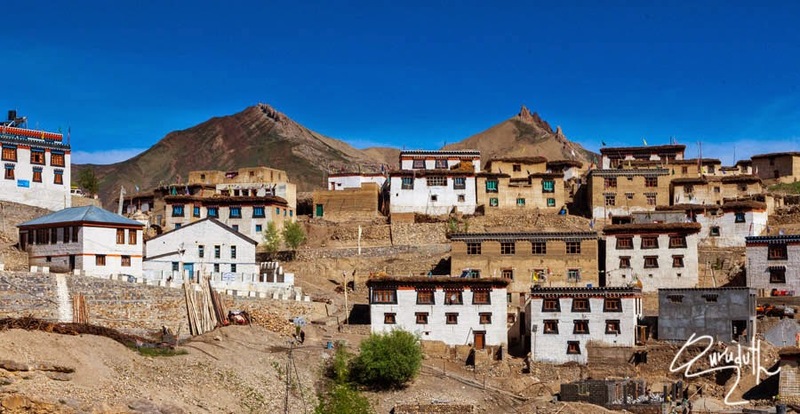 Situated at an altitude of (15,000 ft) above sea level the Kibber village is 18 Km from Kaza and is situated below the Key monastery. 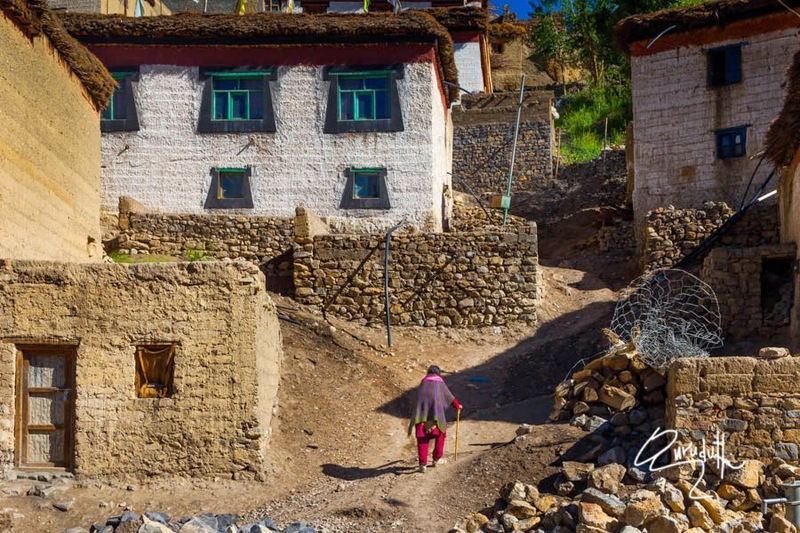 It is one of the highest inhabited villages in the world. It is connected by a motor-able road. 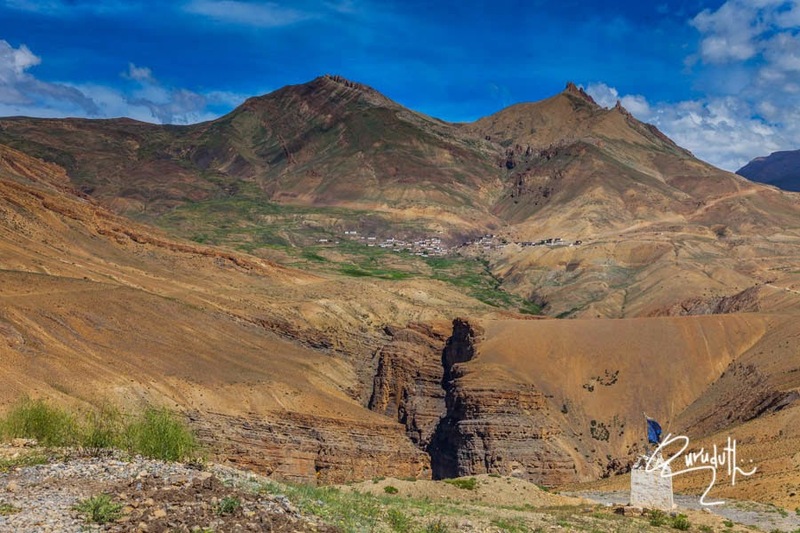 It has the highest polling station of India. Locally it is called known as Khyipur. 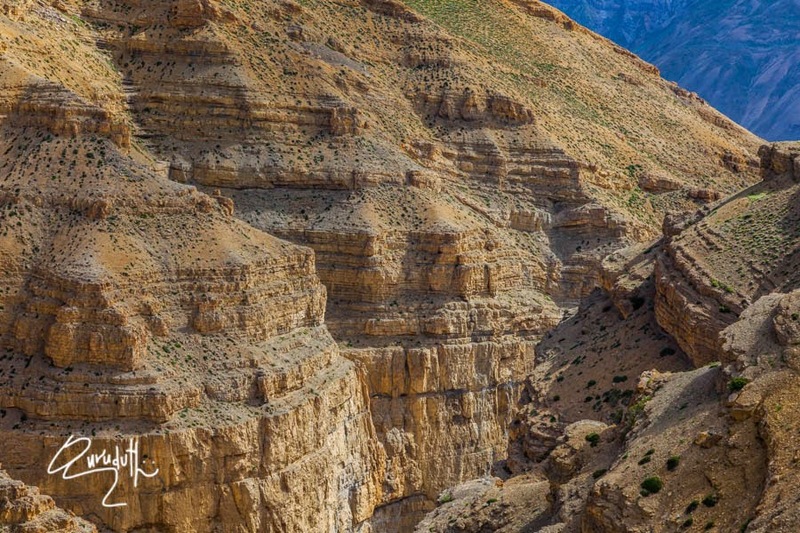 It is located in a narrow valley surrounded by mountains from all sides. The rest house facility is available for the visitors at Kibber. Pictures of about 5Km of gravel road which we traveled with our life practically in the mouth of Death. Because the road was only 6 feet in width and because of loose graves there was no grip at all in between our car tryres and the road. 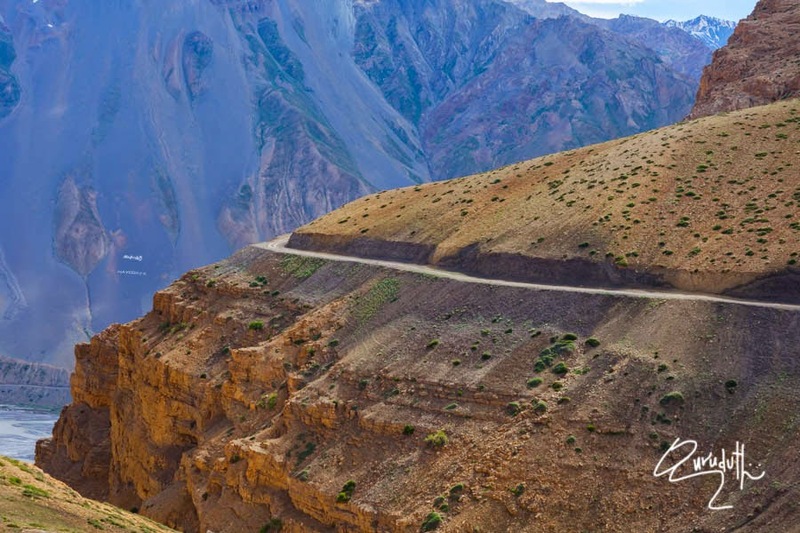 One small skid would have send us crashing down about 6,000 feet deeo in to a gorge. 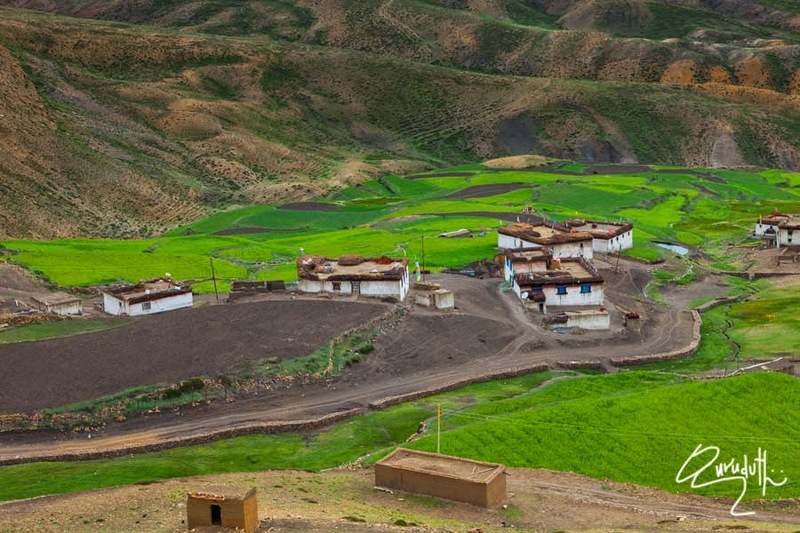 The village named Gette:--, is at a short distance from kaza. 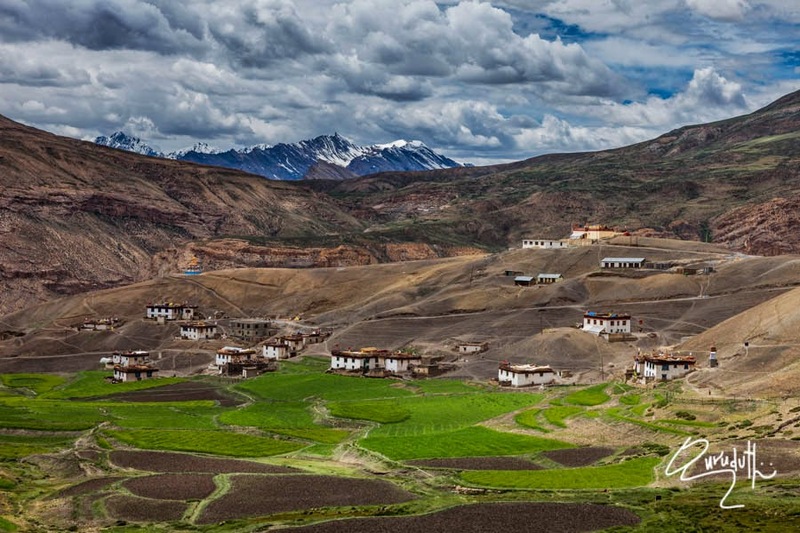 It is the highest village in the world at an altitude of (14,048 ft). 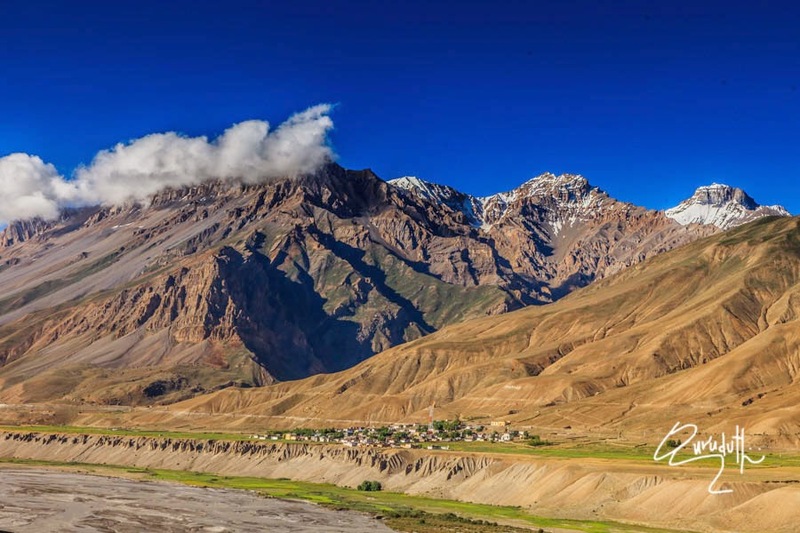 It is at a short distance from Kaza. The pasture lands of Kibber & Gette are breathtaking. 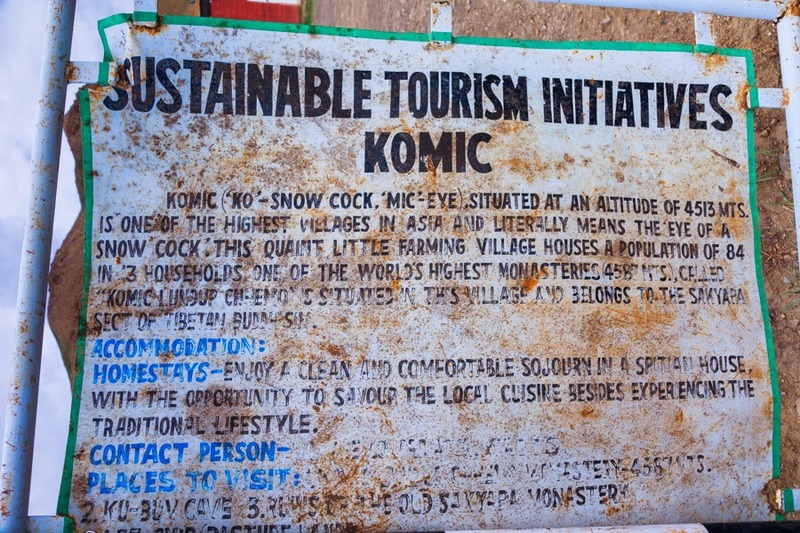 Another highest inhabited villages of the world are Komic & Hikkim Komic is at (15,049 ft) and Komic village is at (15,000ft). 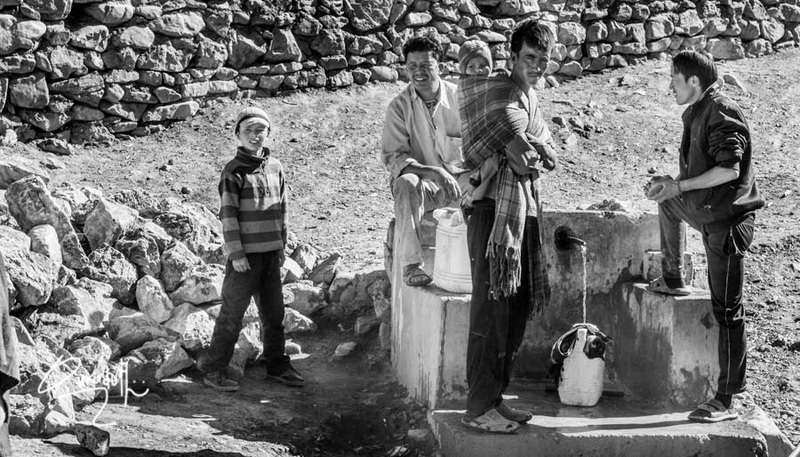 Hikkim has just just 13 households and is at a 6-hour hike from the nearest civilization. 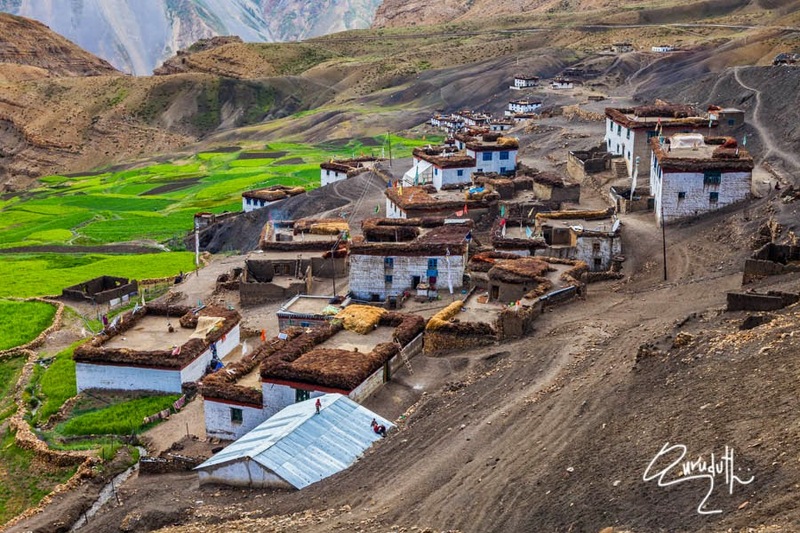 It is the 2nd highest inhabited village in Himalayas or may be in the world. 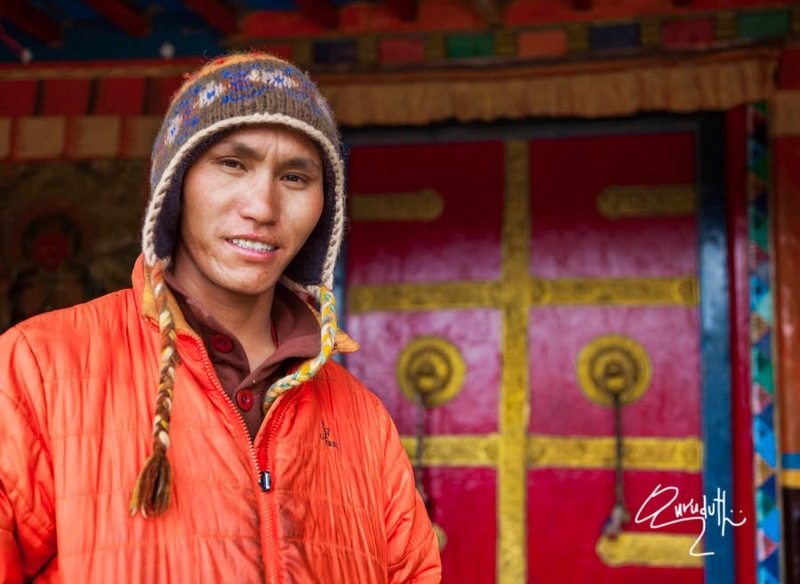 The yak is being used for farming, building and transport for thousands of years. 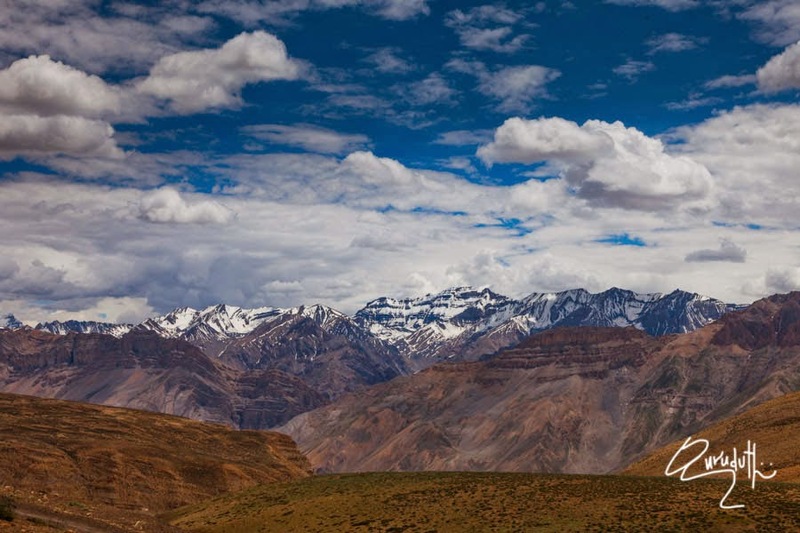 The yak safari at Spiti valley is similar to that in Sikkim or Leh. 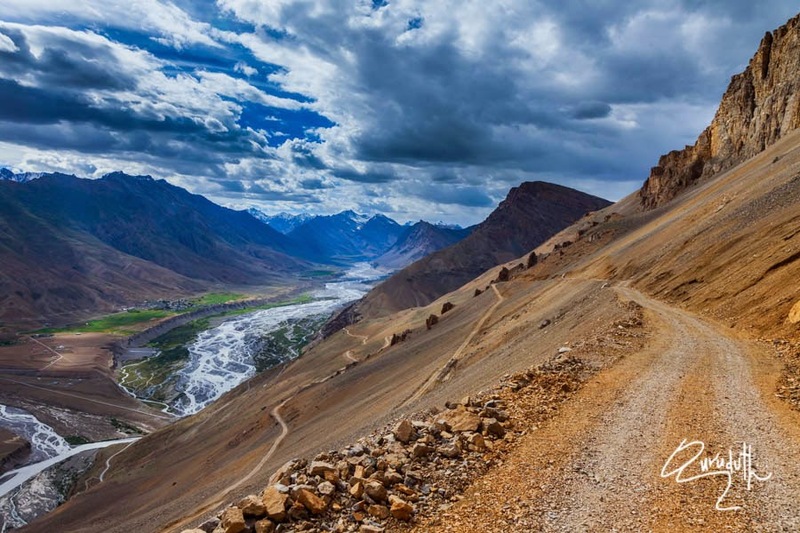 It gives an opportunity to go through the Pin Valley to Kafnu, on the old Spiti- Kinnaur foot road as was done by the people thousands of years ago. 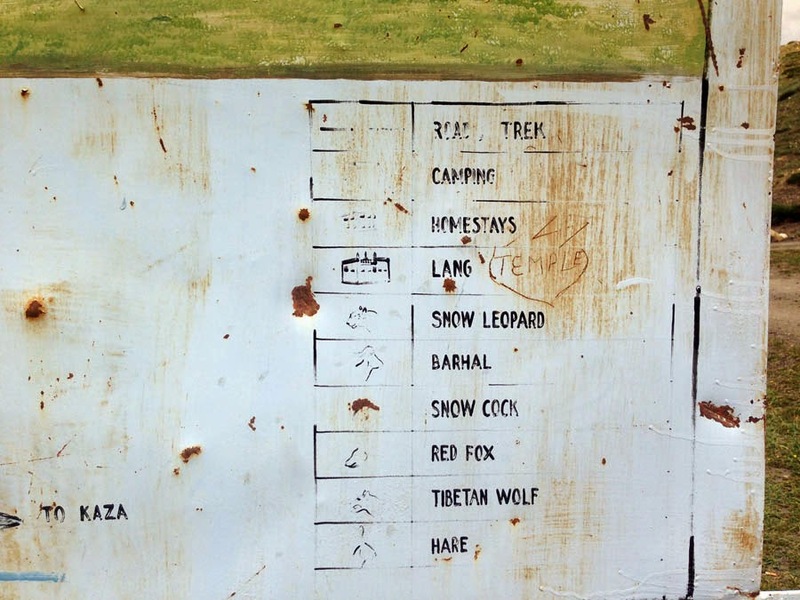 The riders get a chance to camp in the wild and watch many of the endangered animals and rare birds in natural habitat. 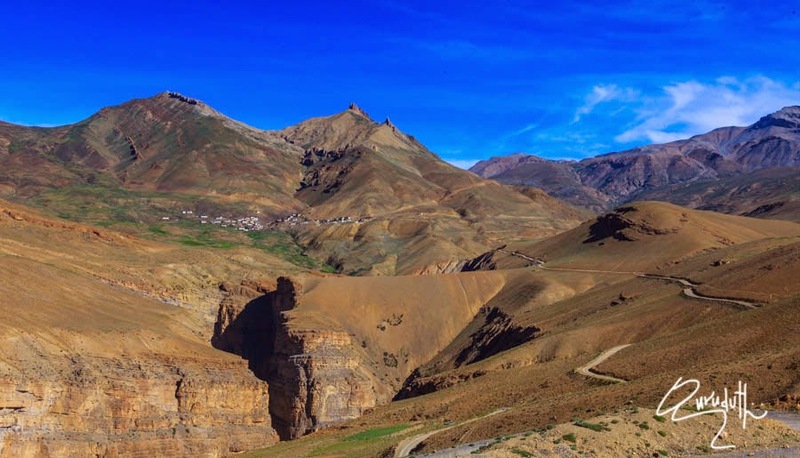 A route of safari from Demul to Komic monastery is very popular. 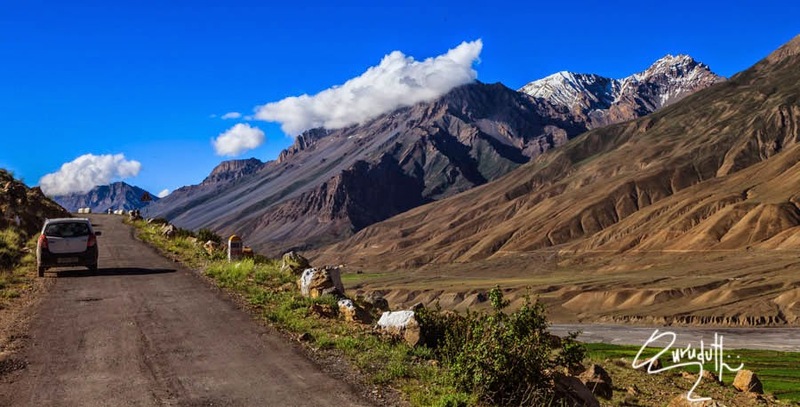 A ride on the furs of yak through the picturesque valleys in high mountains along the river, sojourn on the way near tiny remote villages, and finally reaching Kafnu, after crossing the Bawa la pass at 4,900 meters is an unforgettable experience. 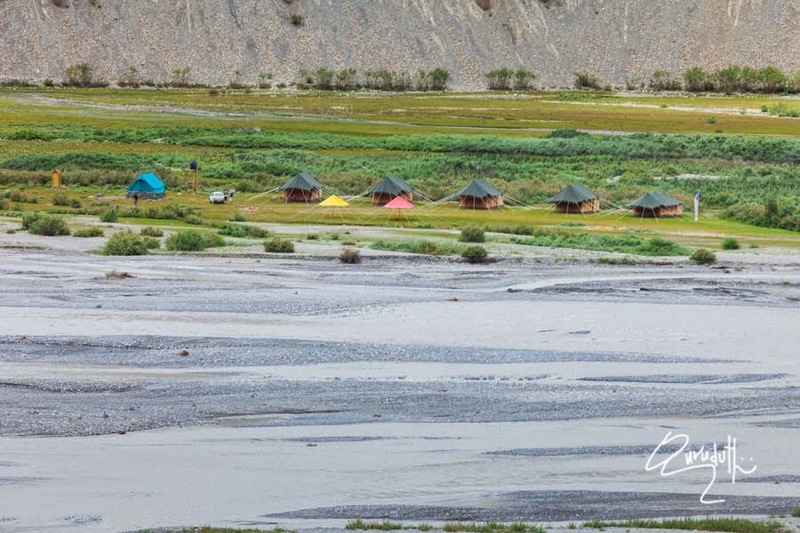 The yaks, cooks and helpers are available Pin valley. The yaks even carry the rider across the rivers. A night is spent near the village of nuns too. 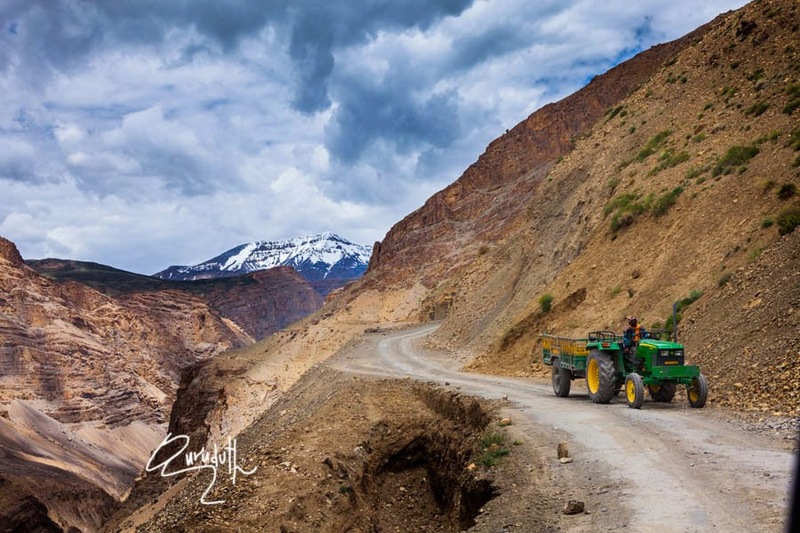 These safaris take several hours to reach the destination and to avoid any kind of altitude sickness, proper acclimatization is needed. 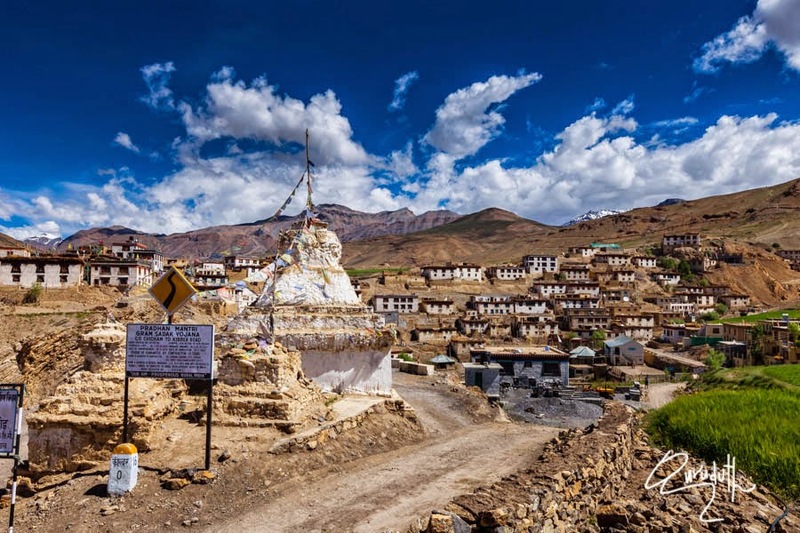 Some of the oldest monasteries and schools of Tibetan Buddhism in India are situated in the Spiti valley. 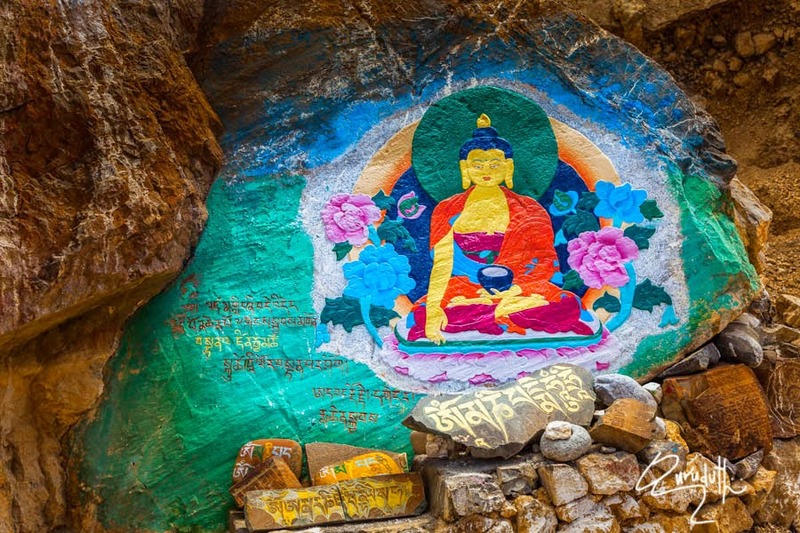 A collection of stone caves are situated in the Fukchung village, where nuns from the Nyingmapa school of Buddhism in Tibet, go for long-term retreats, meditations and asceticism. Without any interaction with any other human beings. Next Chapter of my Blog to be continued-----. 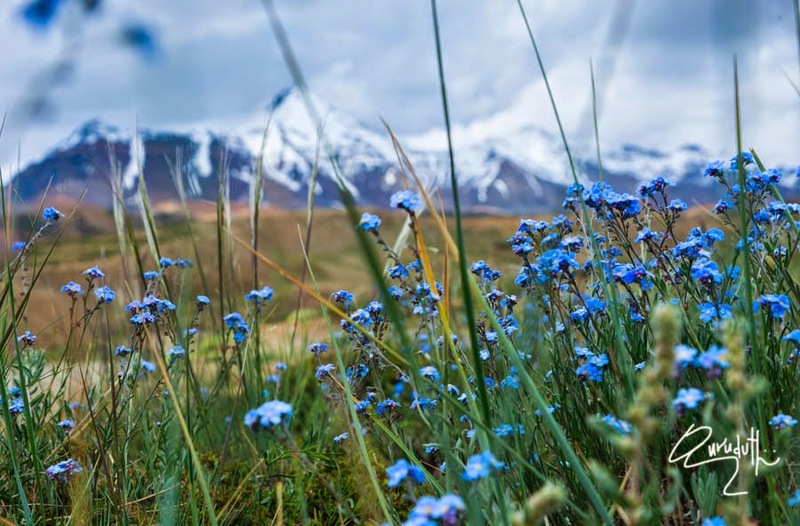 Bai, good job thanks , for opening unknown world ,so far away from our gaze ,virgin enchanting land of wonders, your indomitable spirit, reminds me of a quote --“The body does not want you to do this. As you run, it tells you to stop but the mind must be strong. You always go too far for your body.